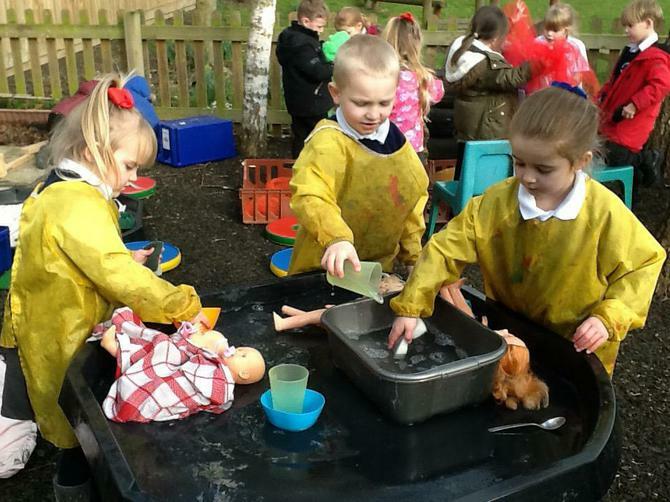 We have had lots of fun over the last few weeks. 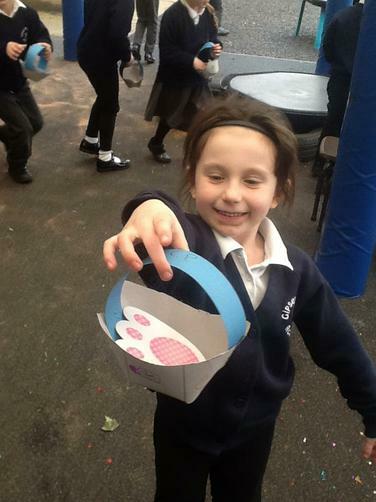 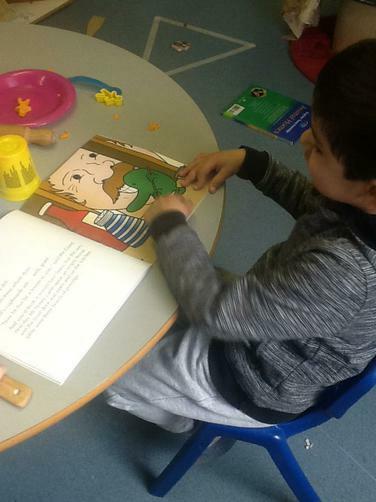 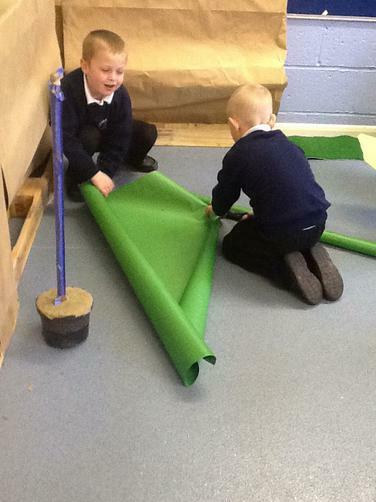 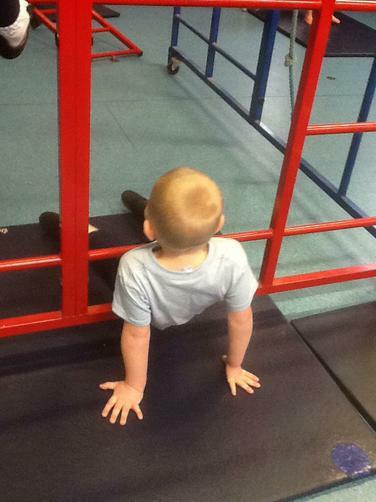 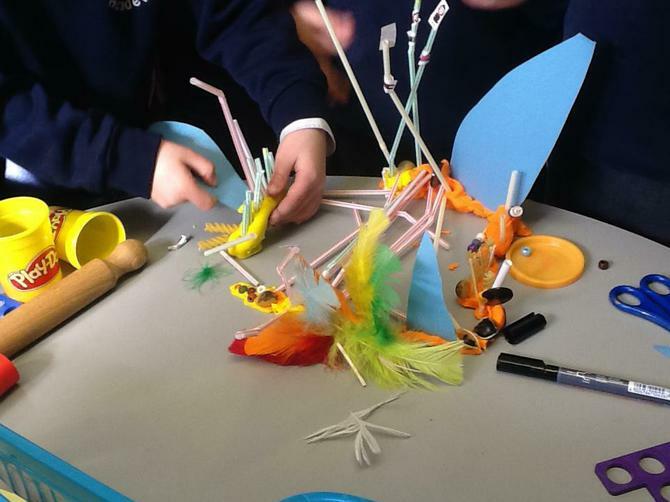 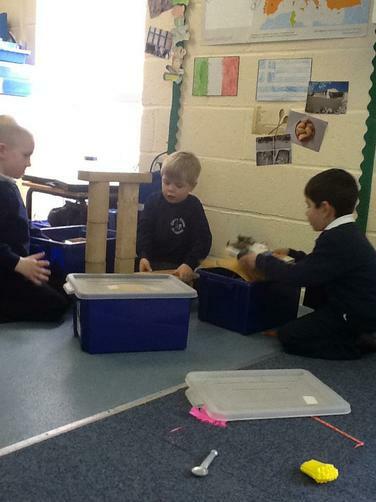 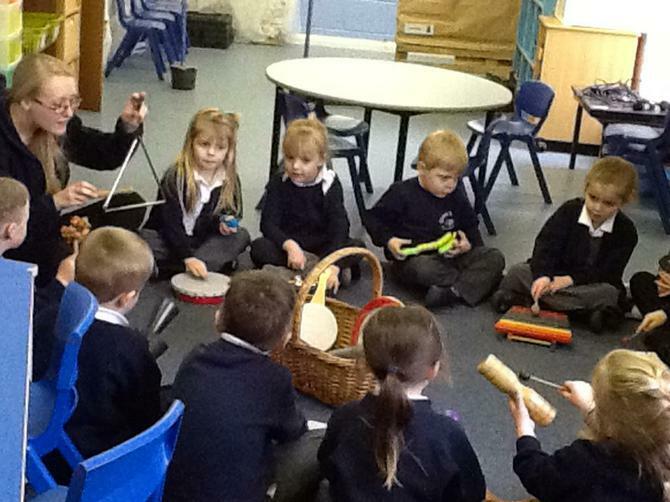 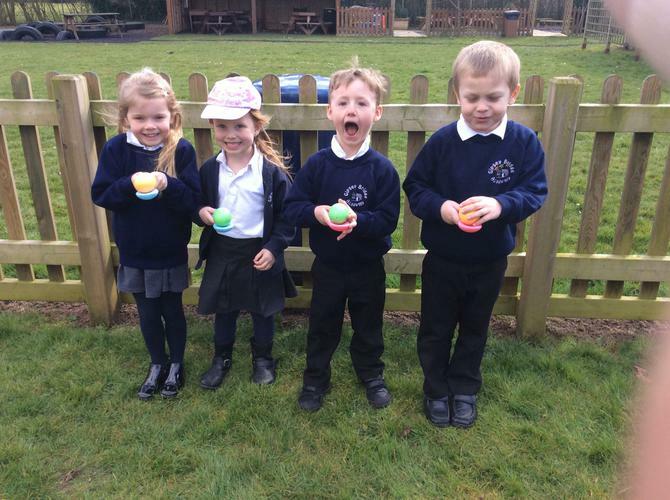 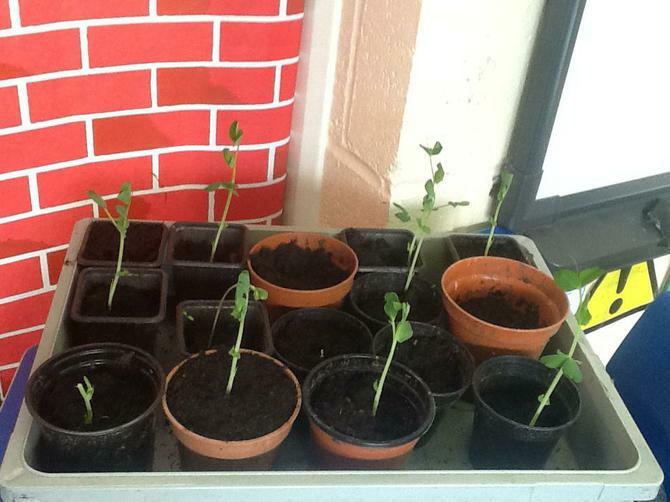 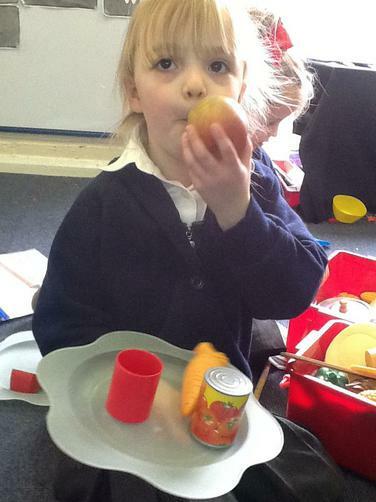 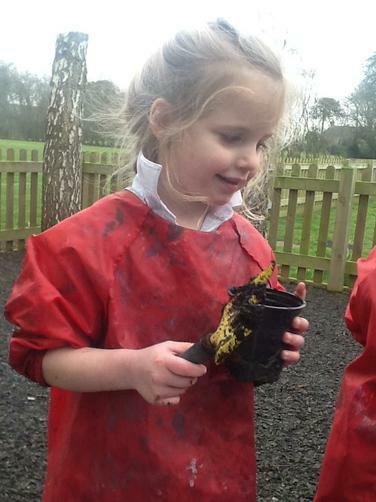 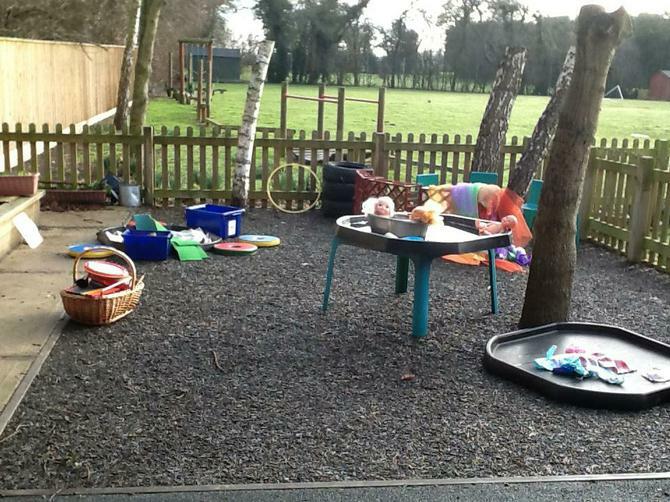 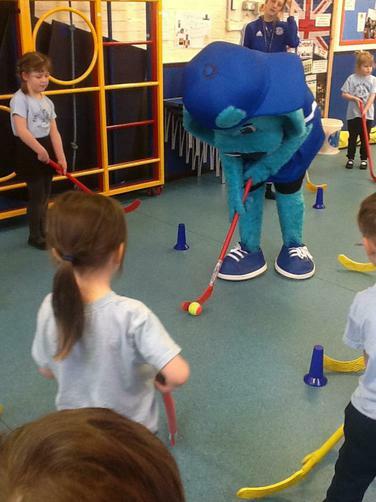 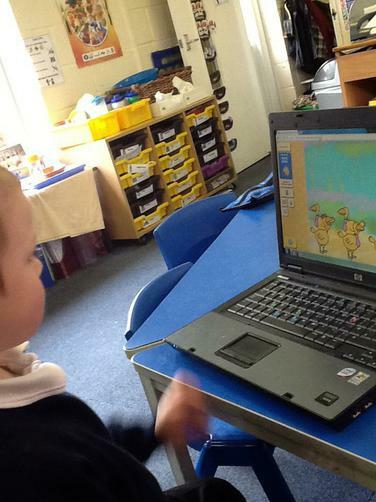 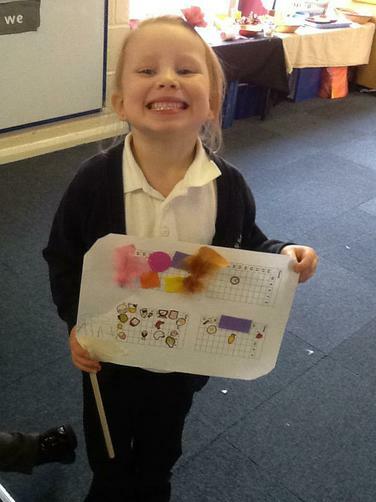 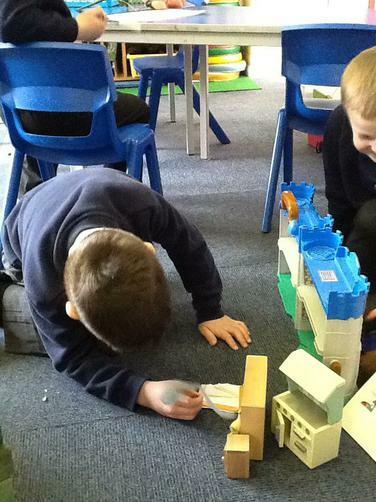 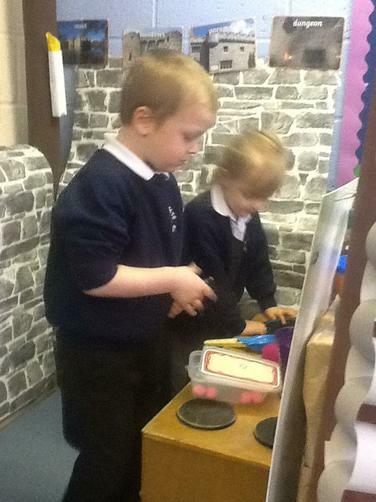 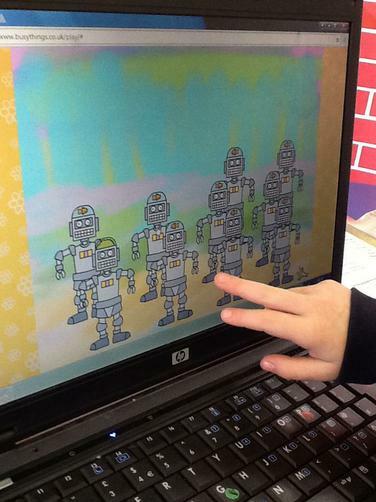 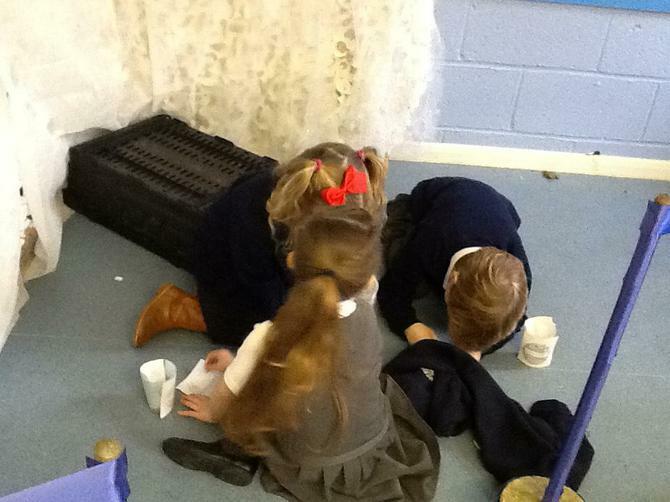 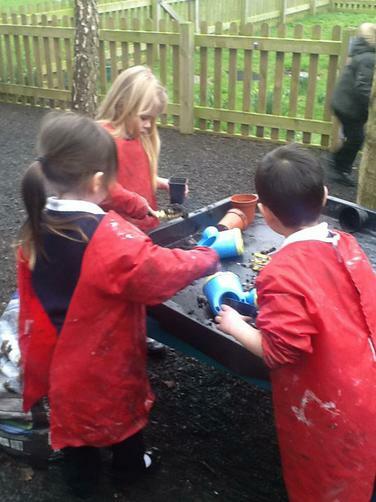 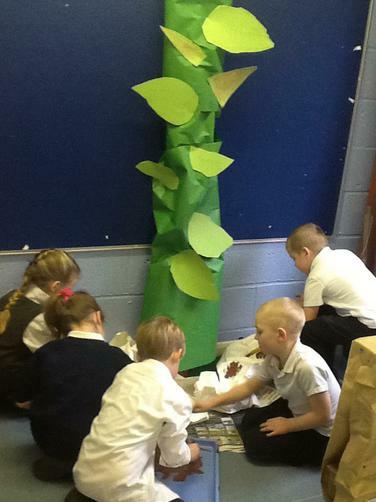 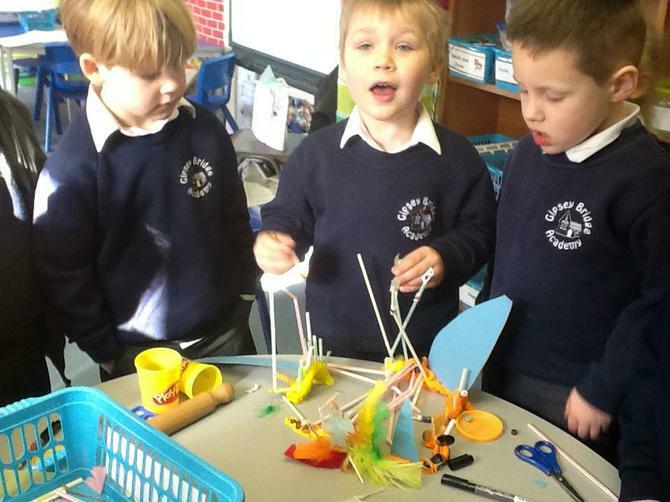 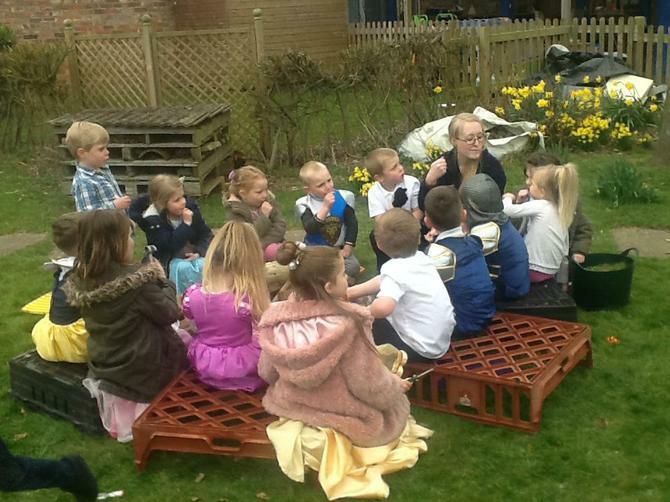 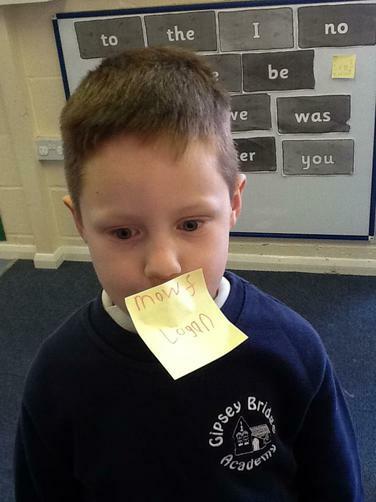 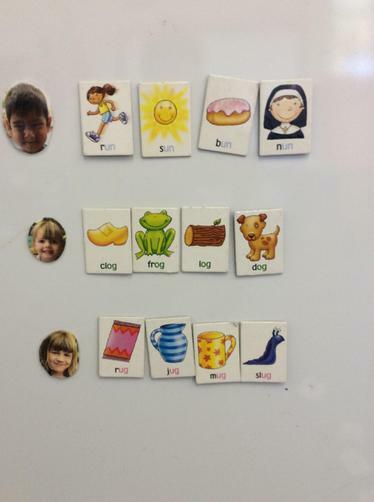 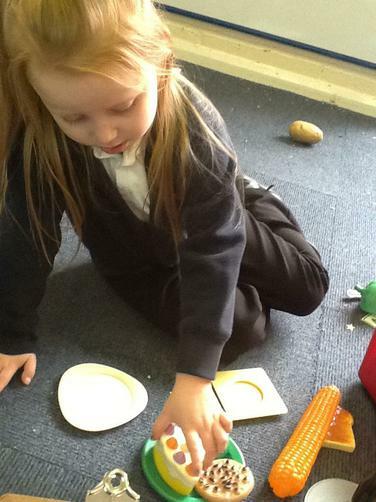 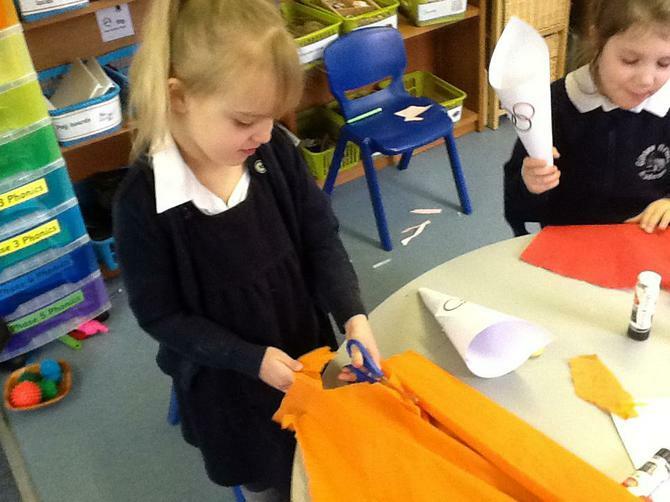 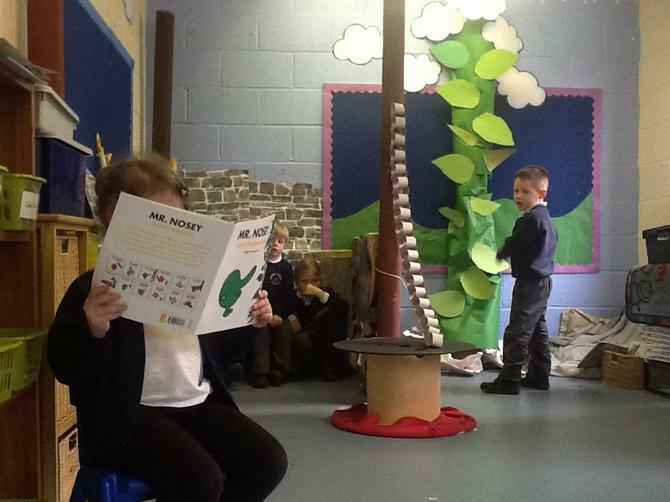 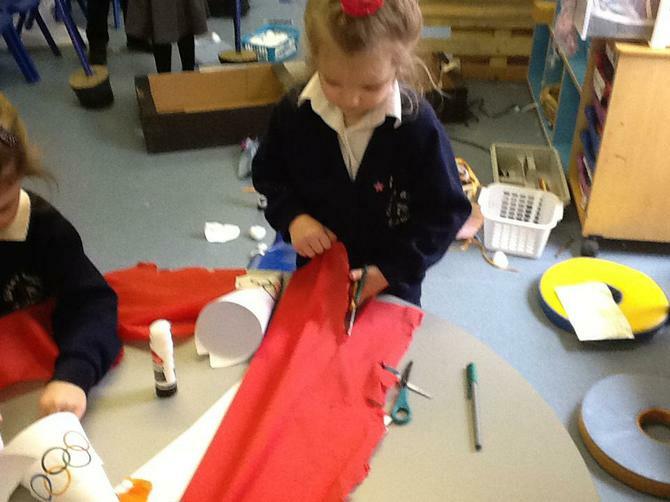 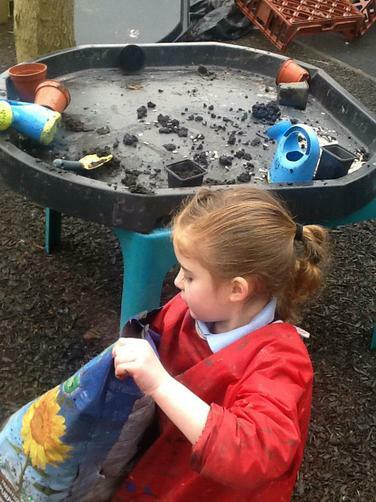 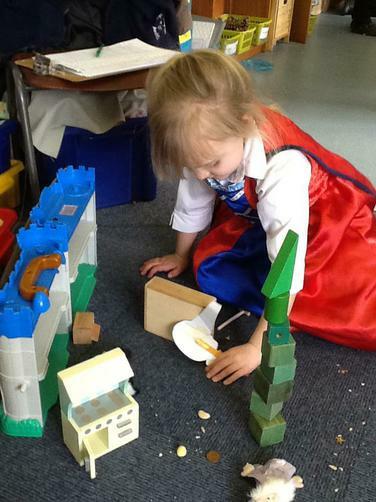 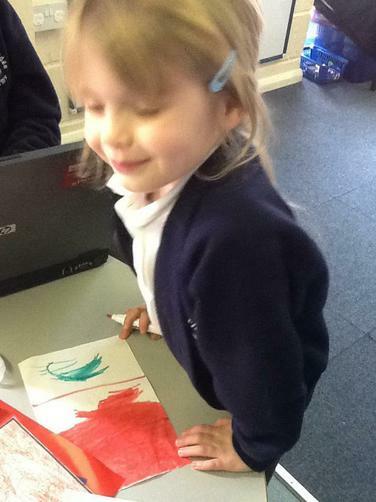 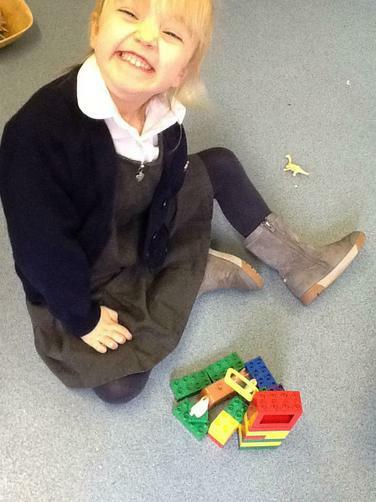 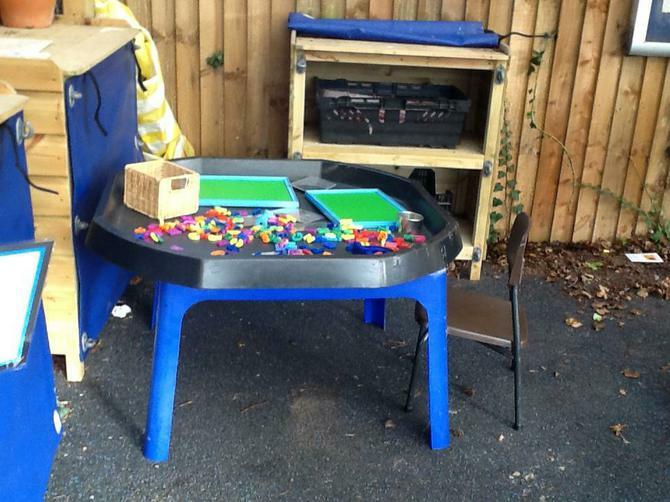 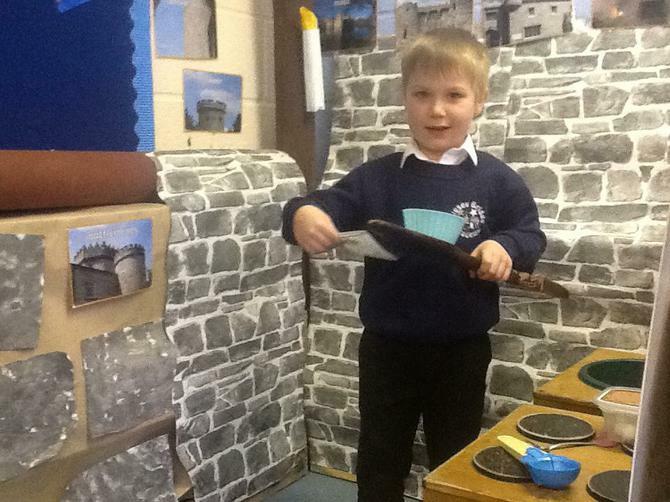 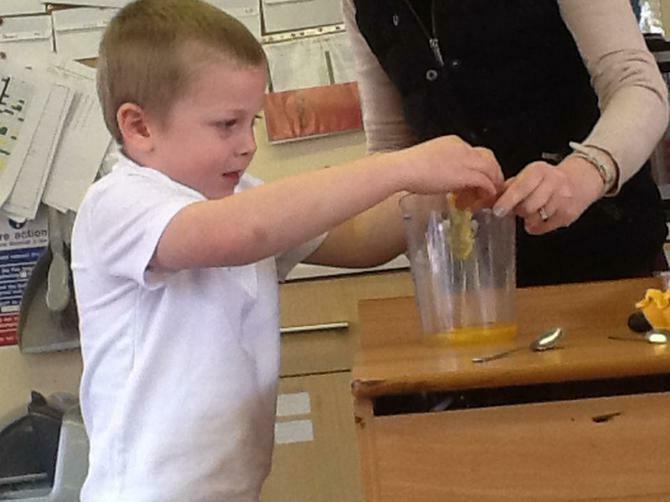 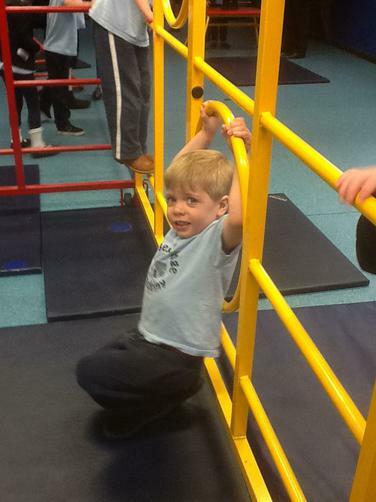 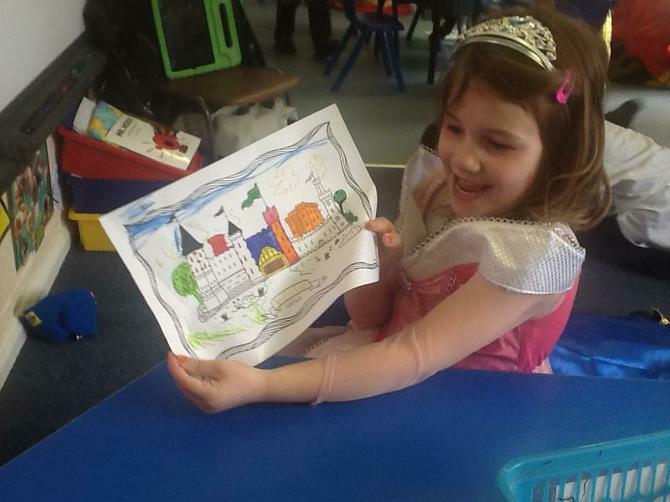 Here are a few pictures of our learning activities. 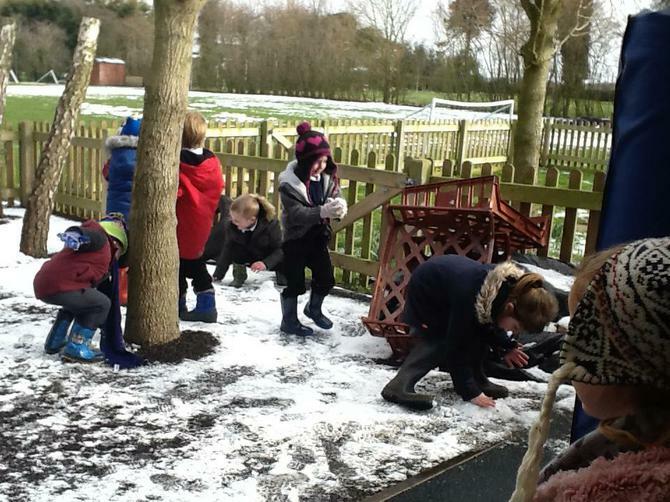 Look out for our: rhyming strings, castle creations out of different resources, shape retrieval activity, using giant footprints to compare more and less with objects, pictures and numerals, sentence writing, labelling, exploring the app SketchBook on the iPads, imaginative play with small world, sharing ice cream in our castle cafe using the bar method. 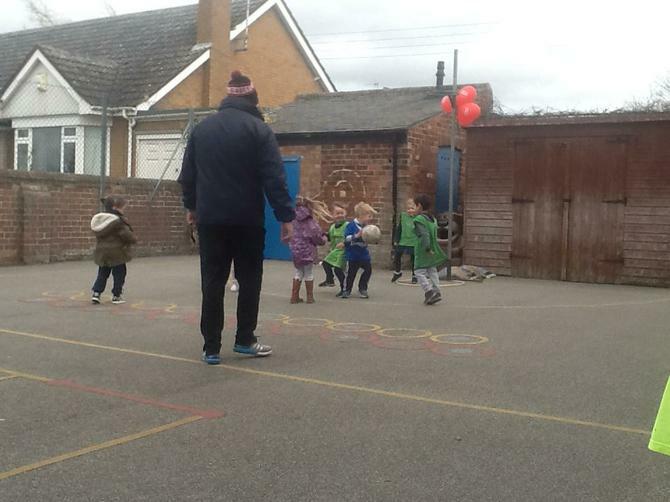 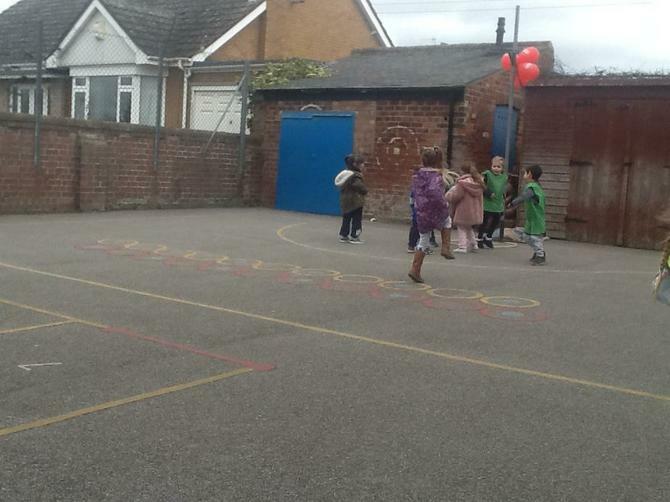 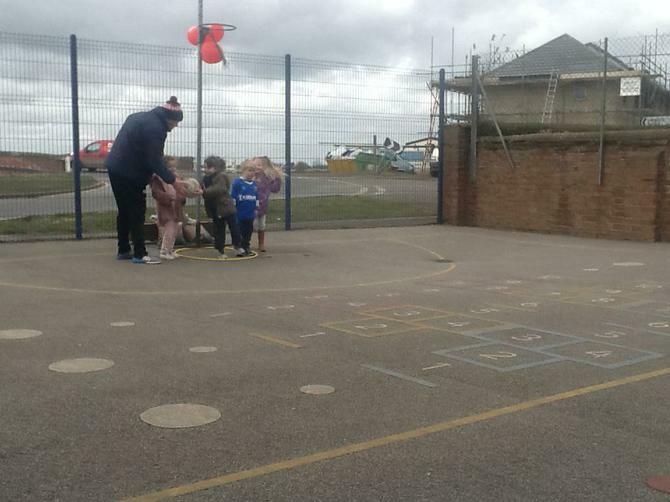 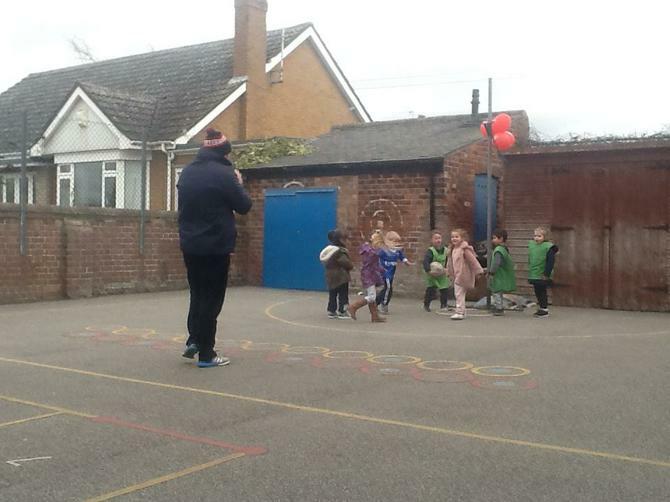 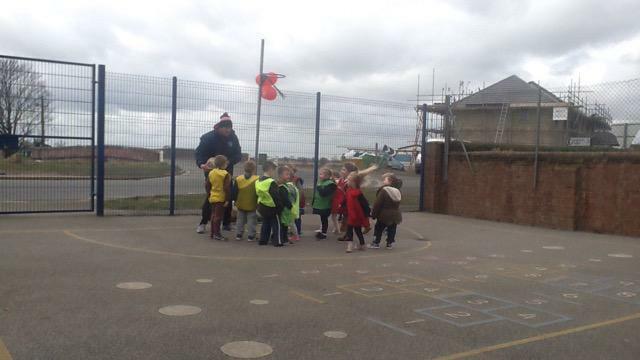 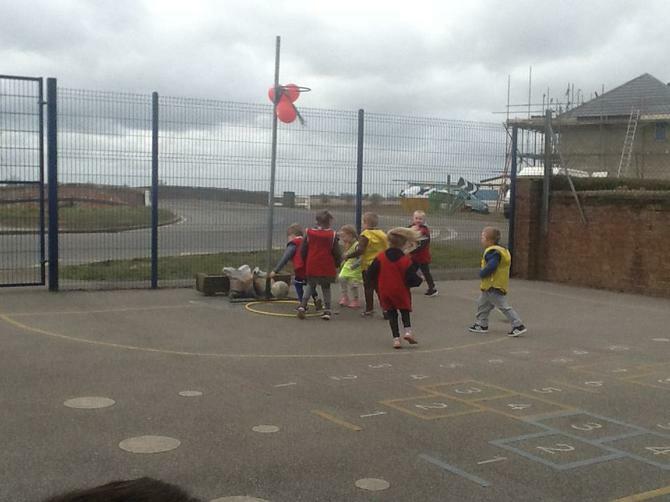 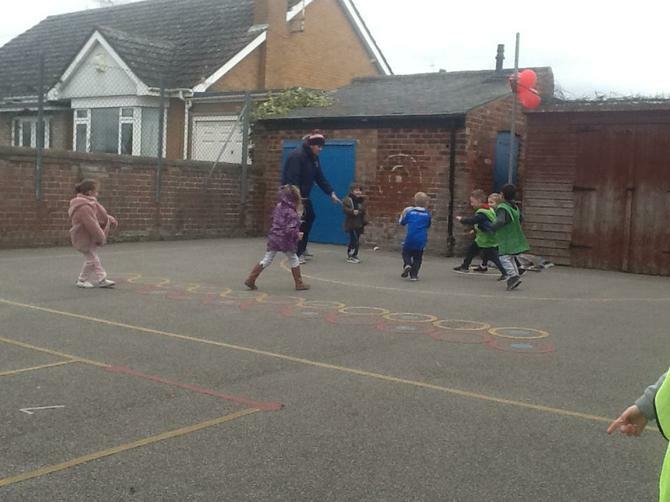 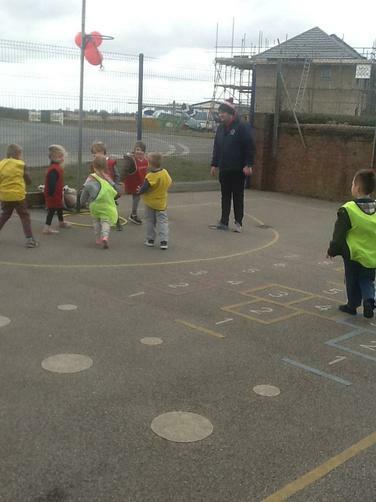 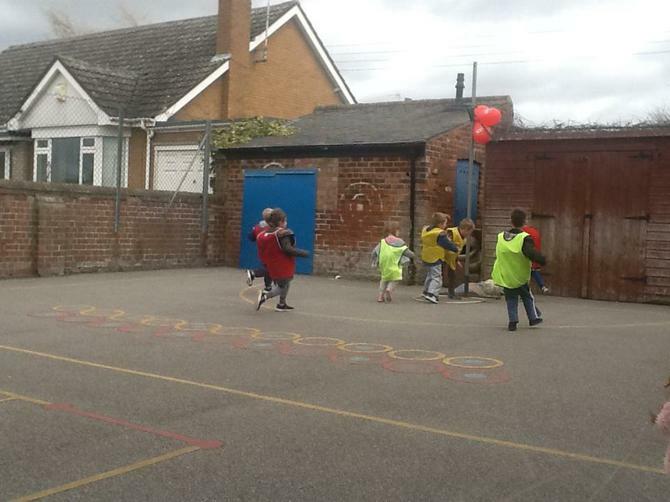 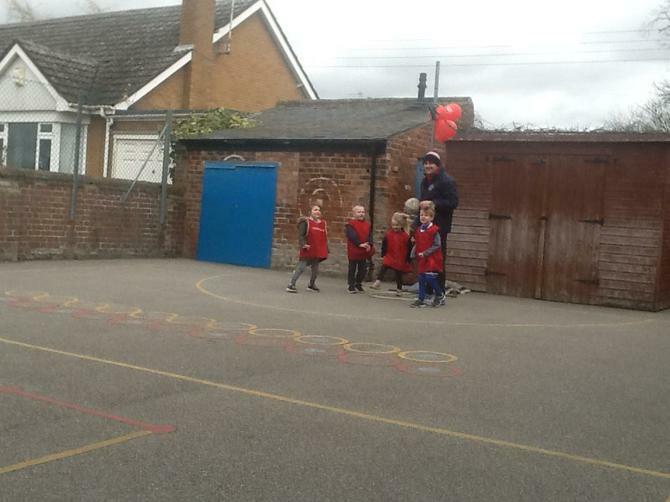 Reception loved learning to play netball with Mr Lee for Sports relief. 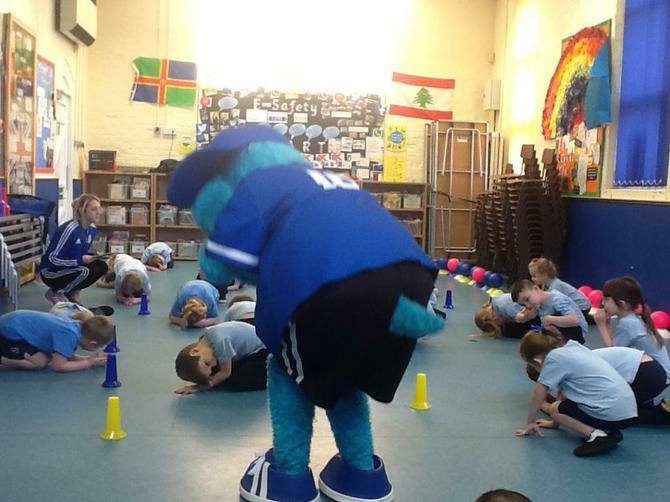 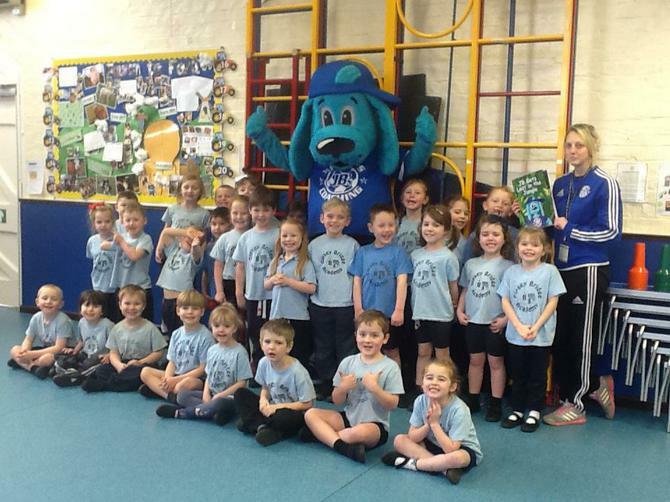 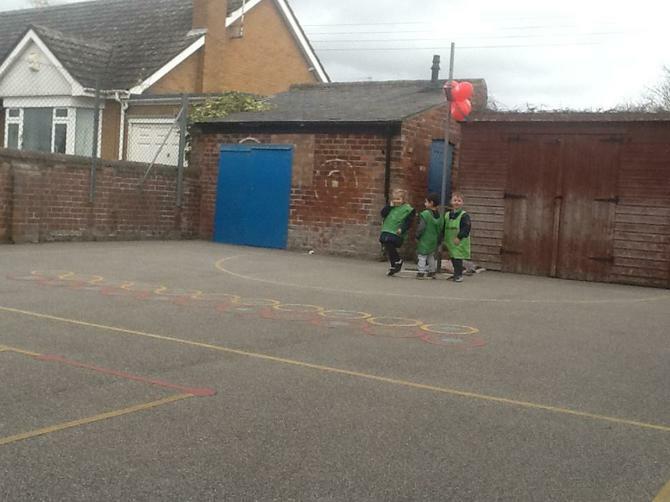 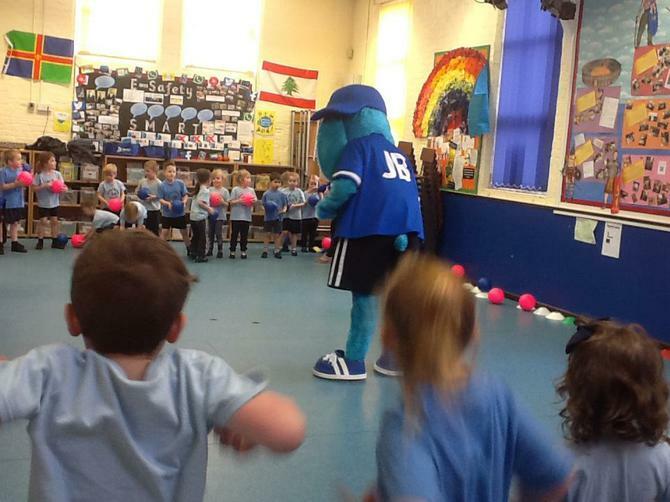 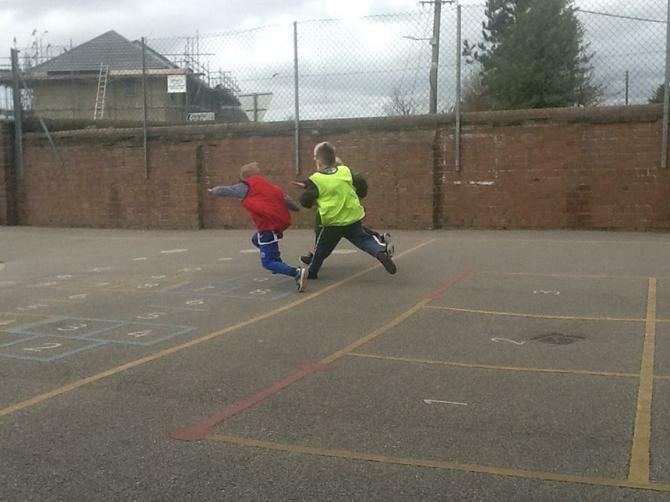 We learnt to play in a team, pass to a friend, find space and score a goal. 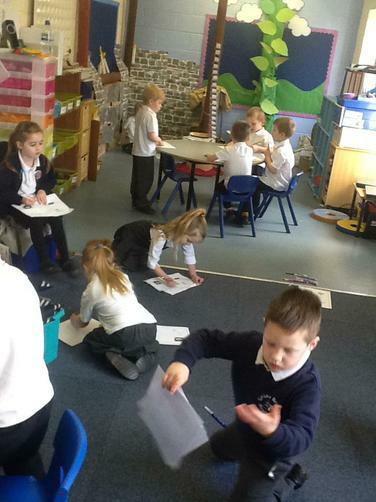 After an exciting snow week, we enjoyed drawing pictures, sharing photos and asking each other questions about the wonderful adventures we had with our families. 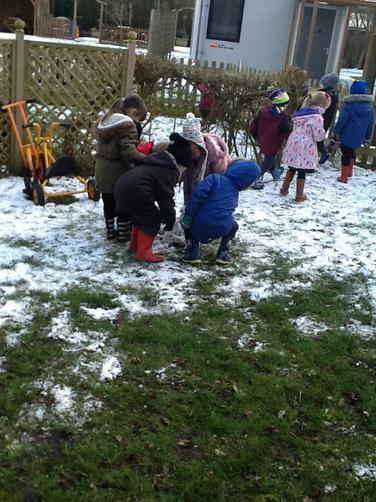 We also enjoyed using the new words similar and different to talk about animal prints in the snow. 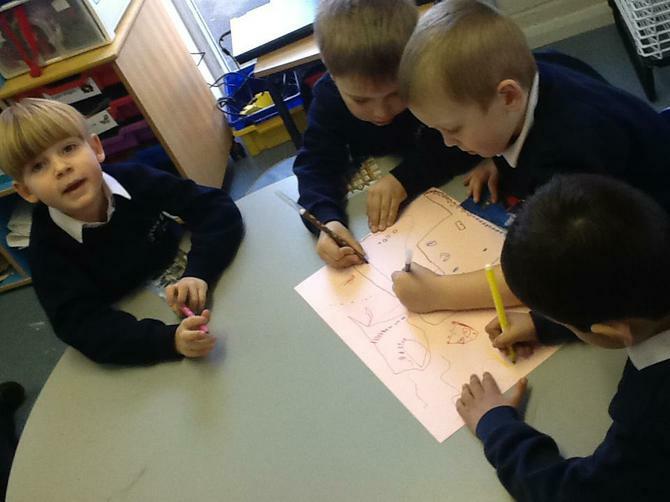 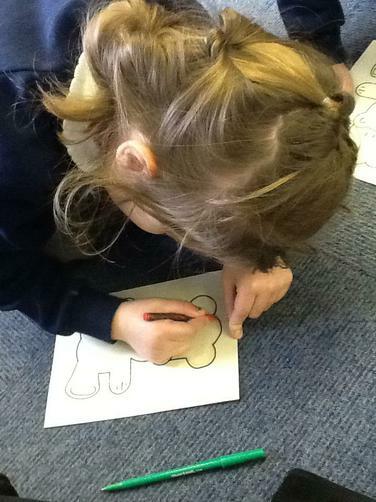 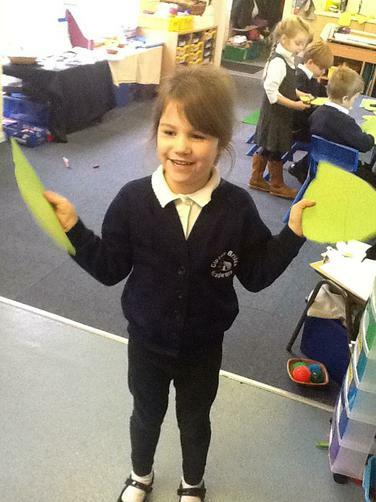 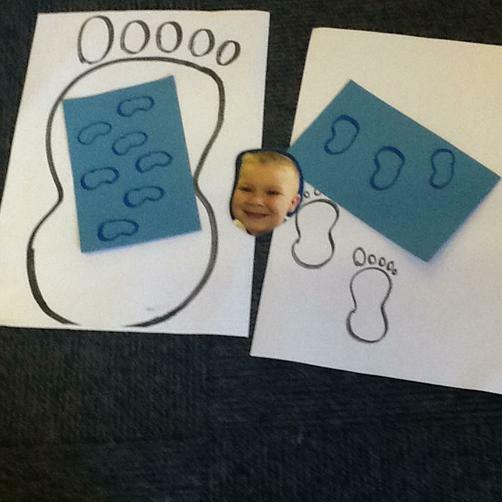 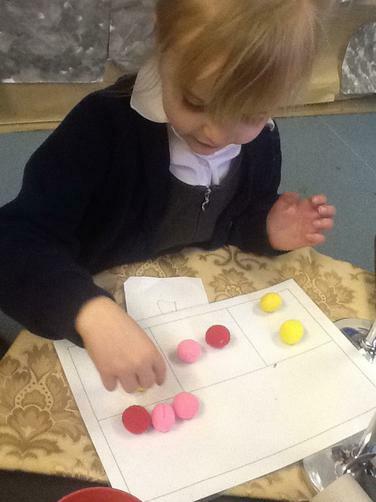 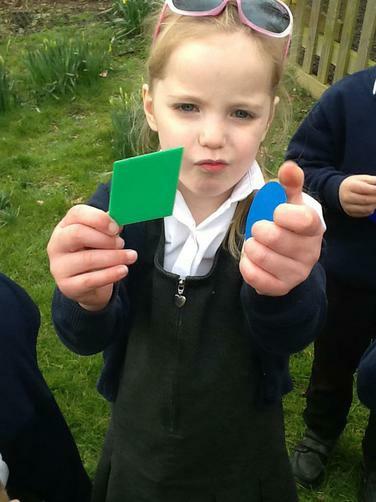 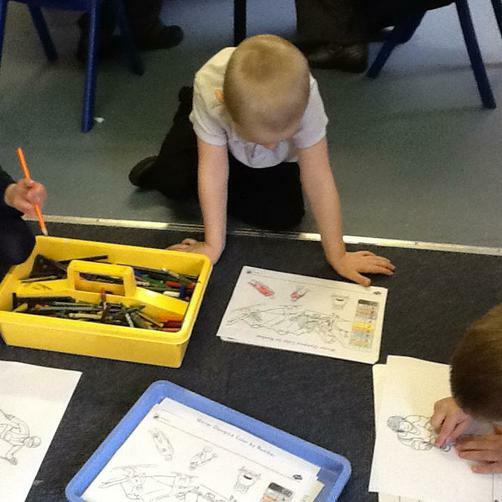 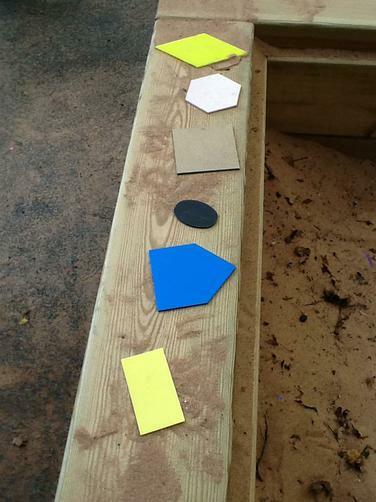 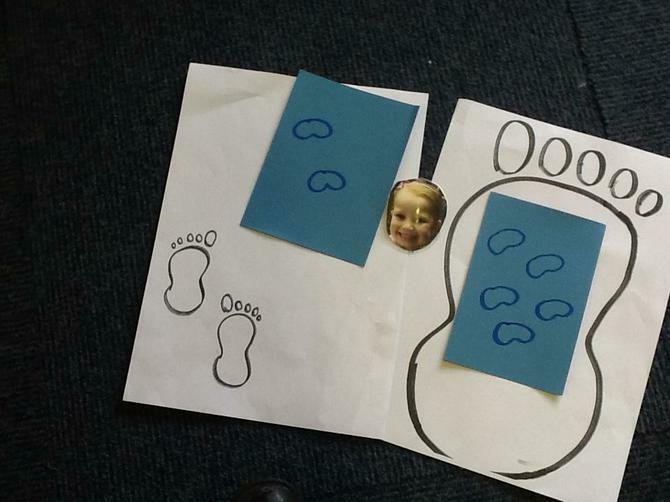 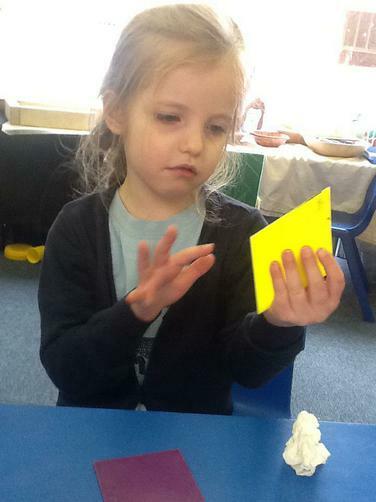 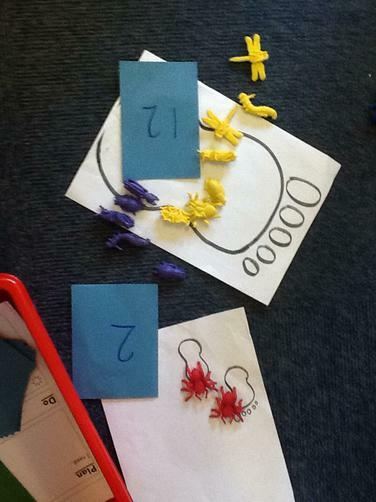 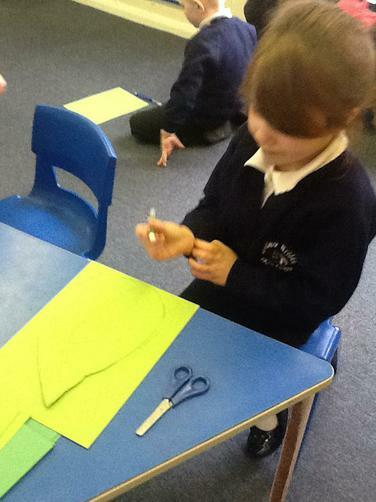 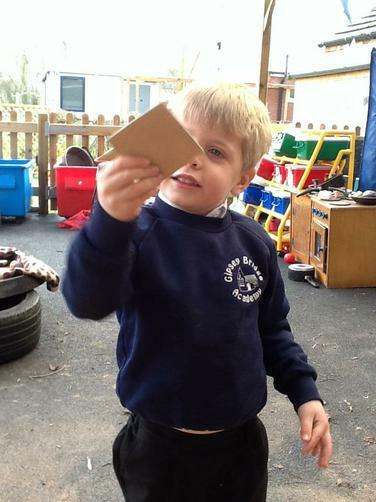 In maths we continued learning about shapes and began to describe and count their features. 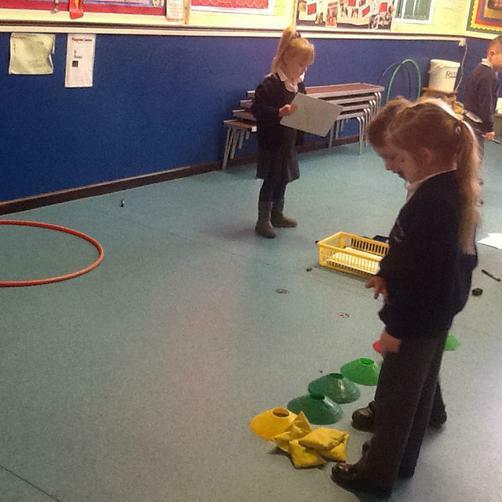 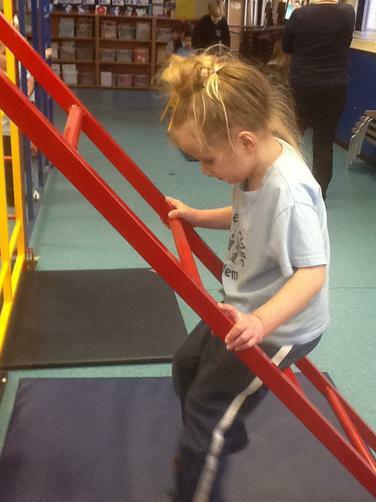 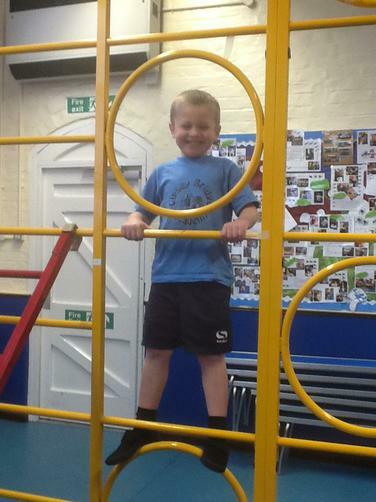 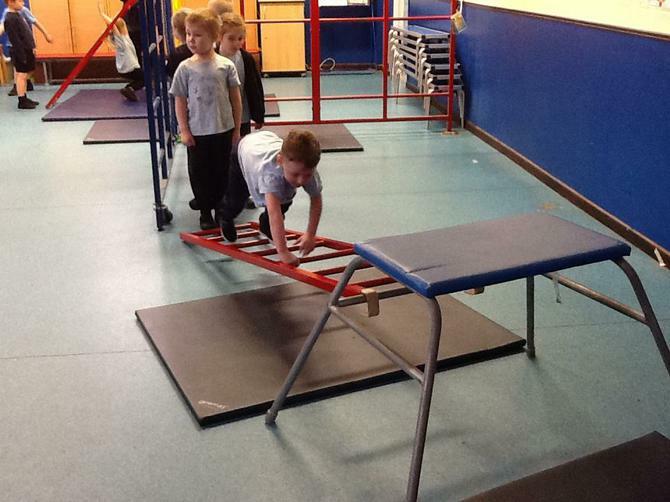 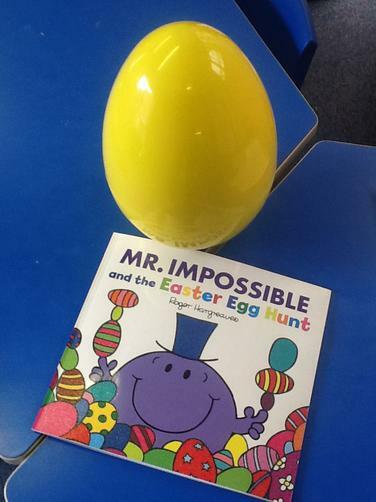 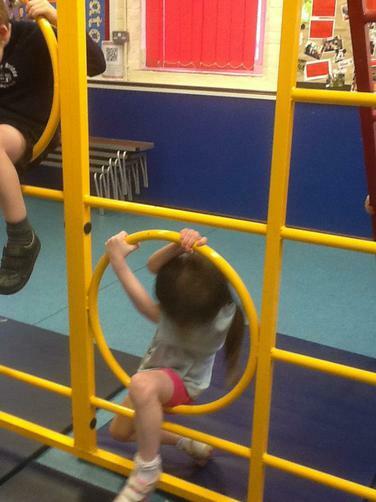 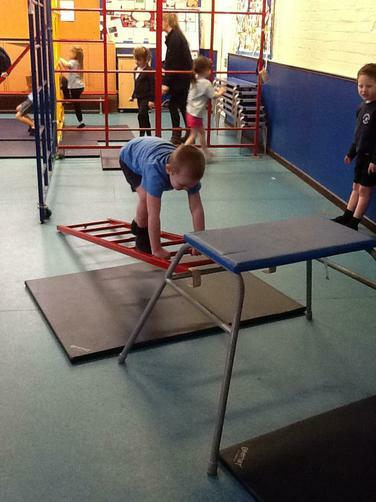 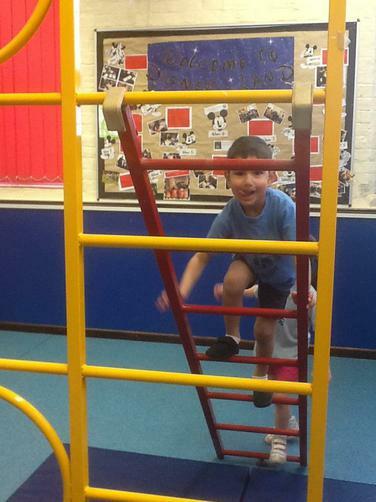 The children have worked hard to complete some independent activities this week. 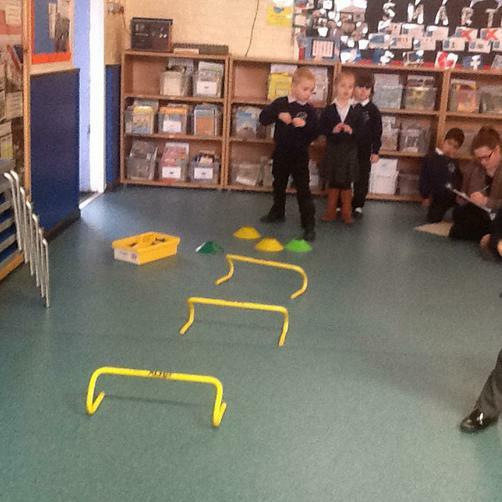 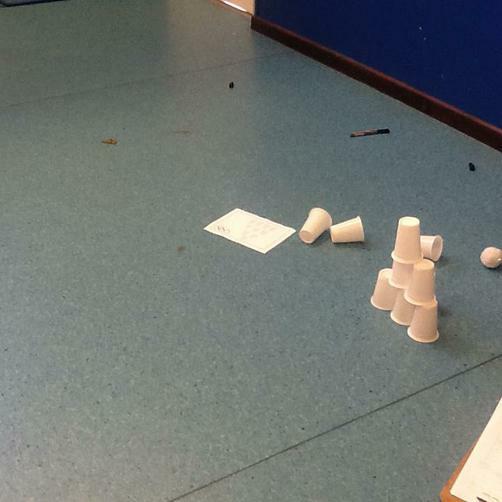 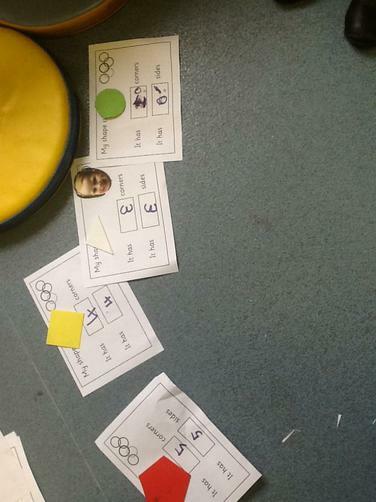 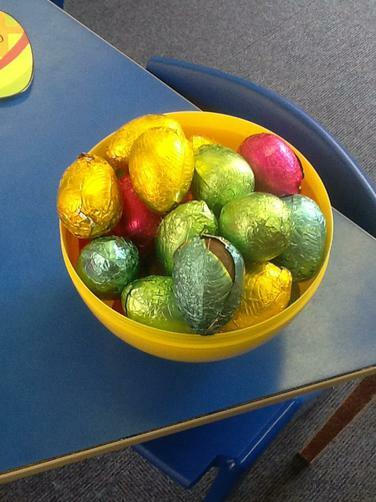 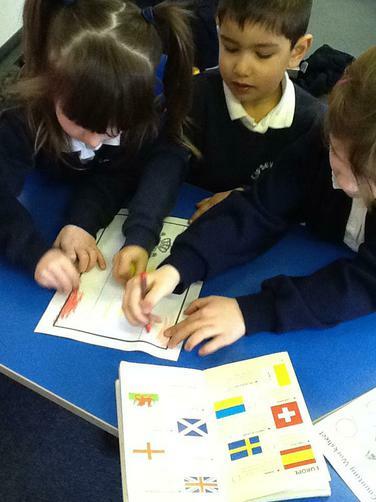 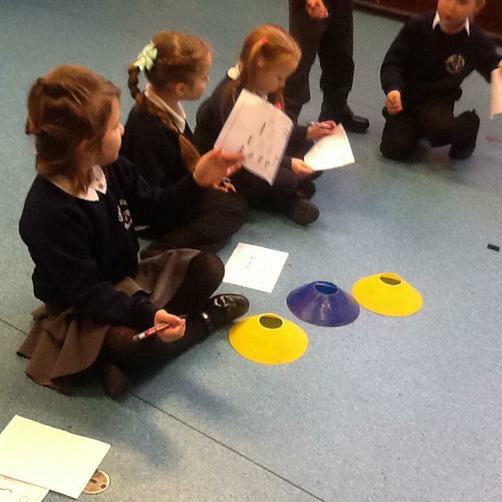 We also held our own maths Olympics as part of our maths retrieval sessions. 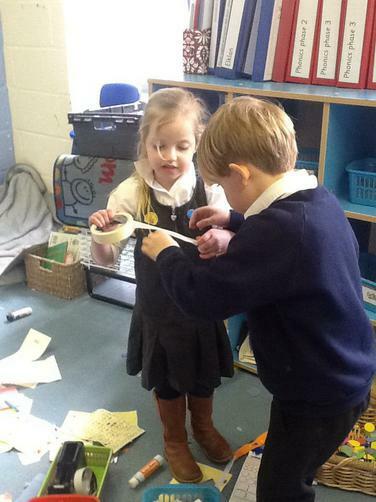 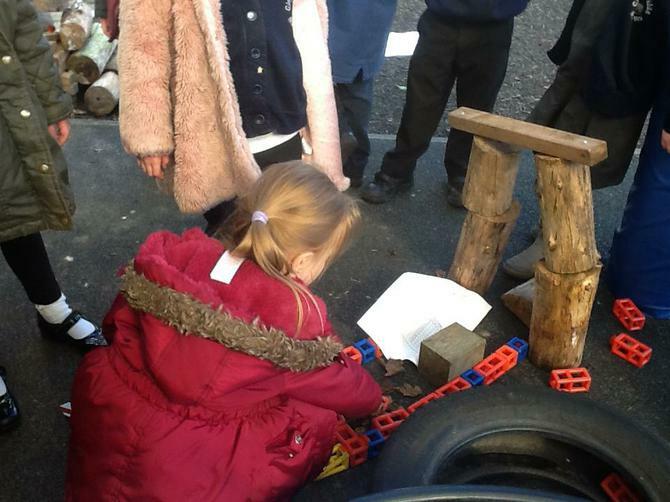 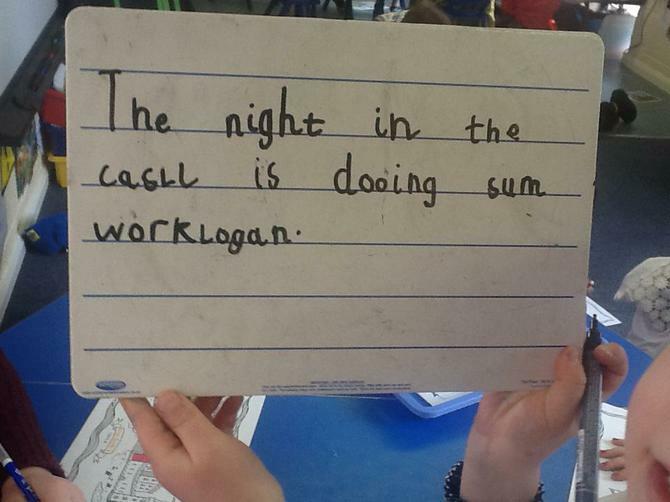 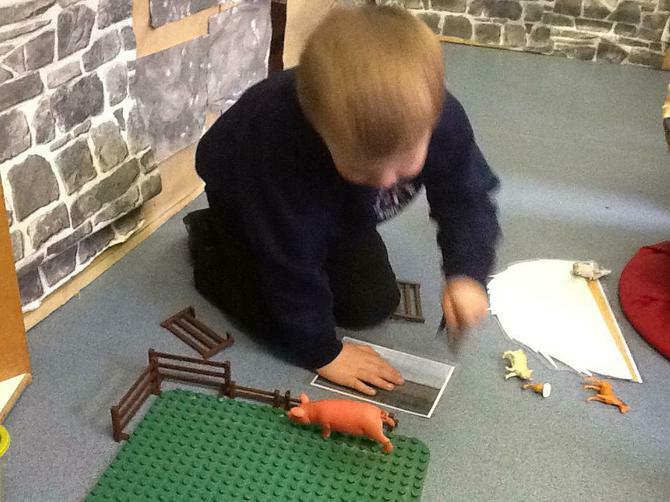 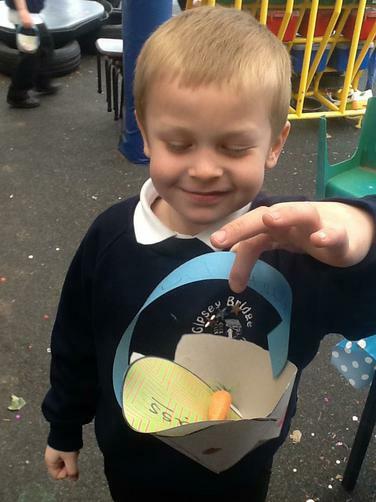 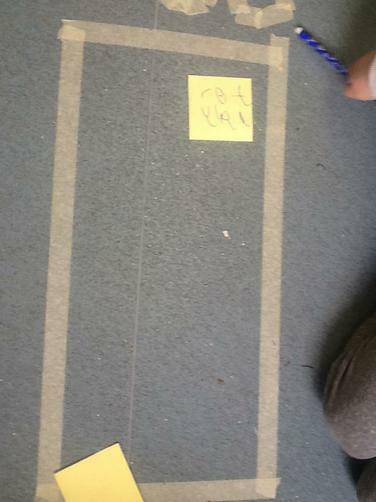 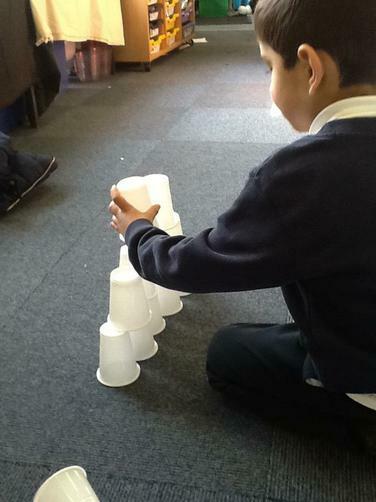 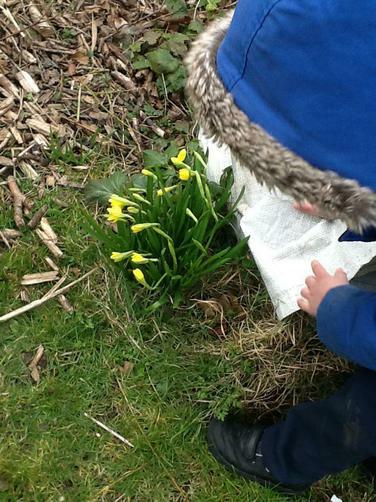 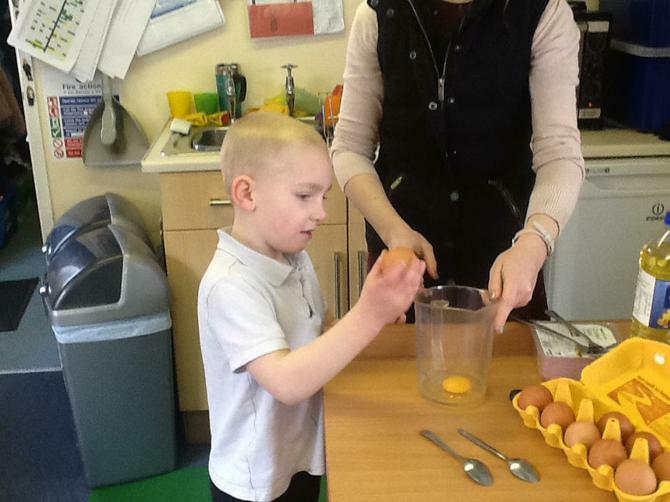 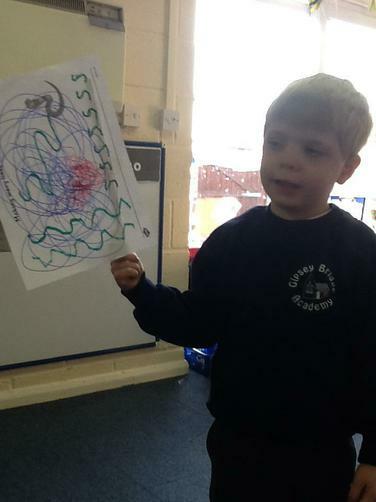 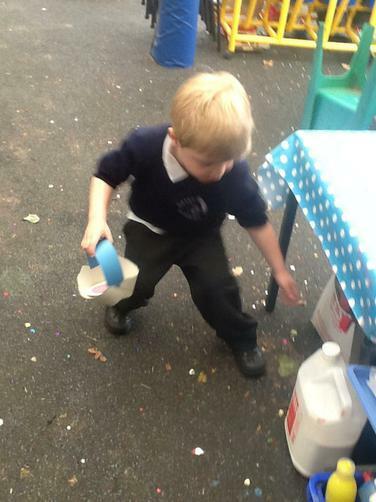 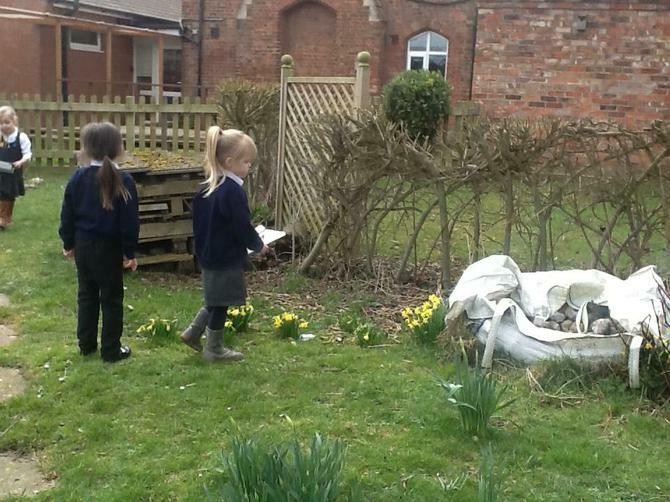 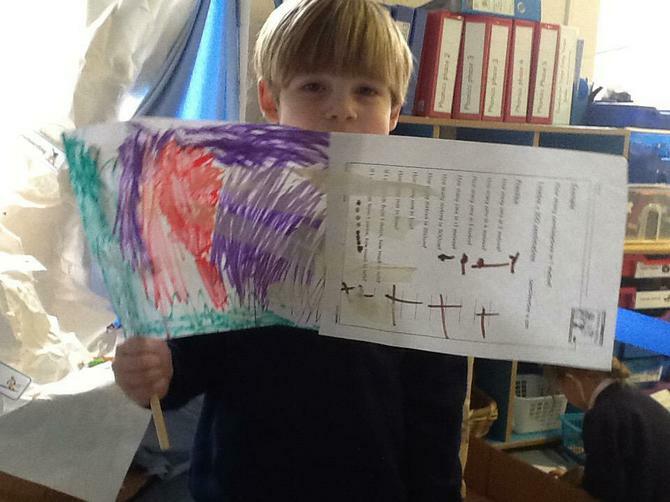 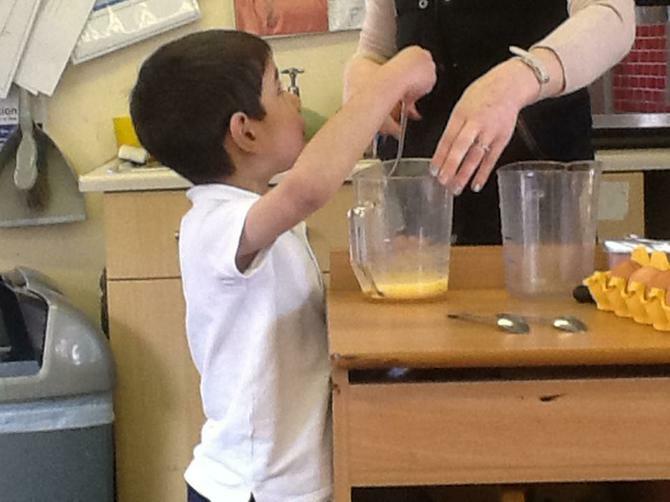 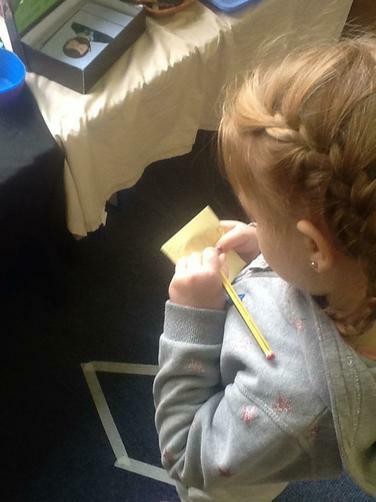 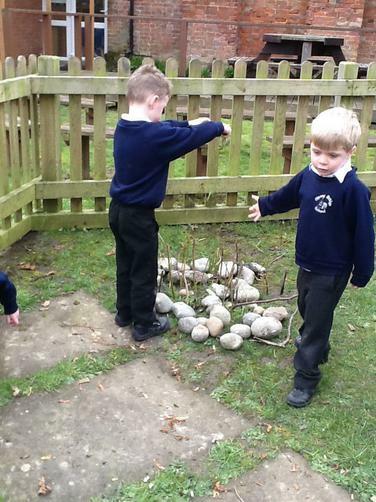 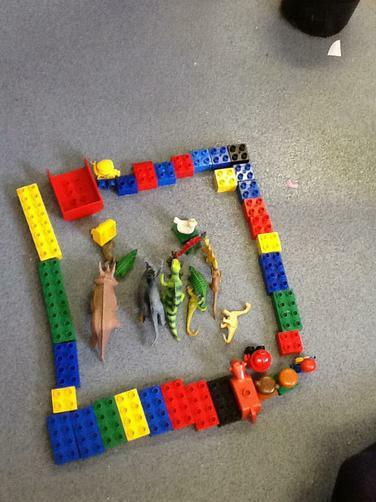 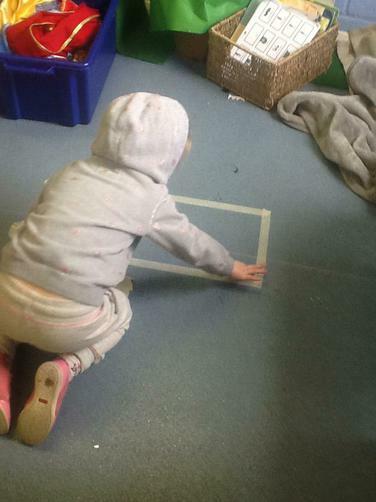 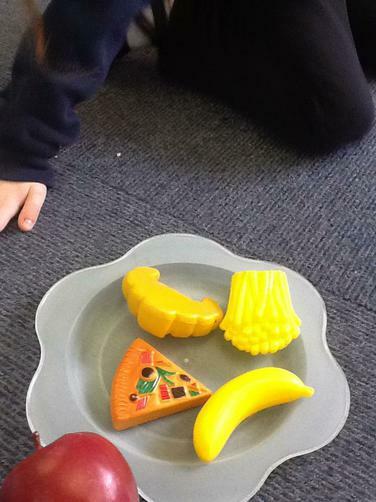 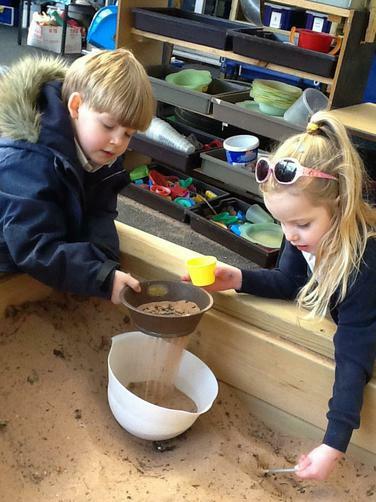 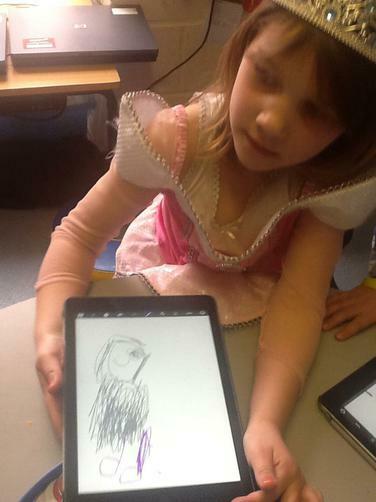 The children had to show what they had remembered about taking away, adding and measuring time in simple ways. 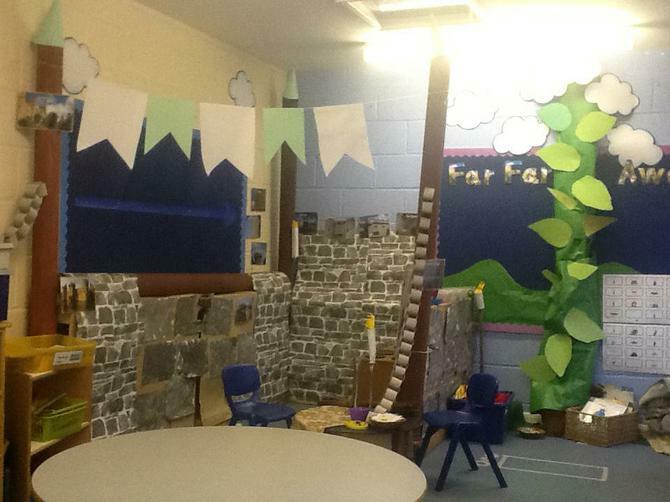 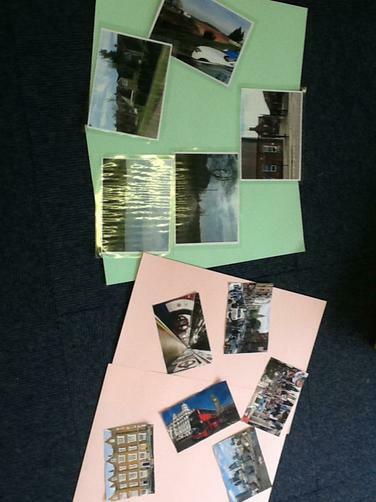 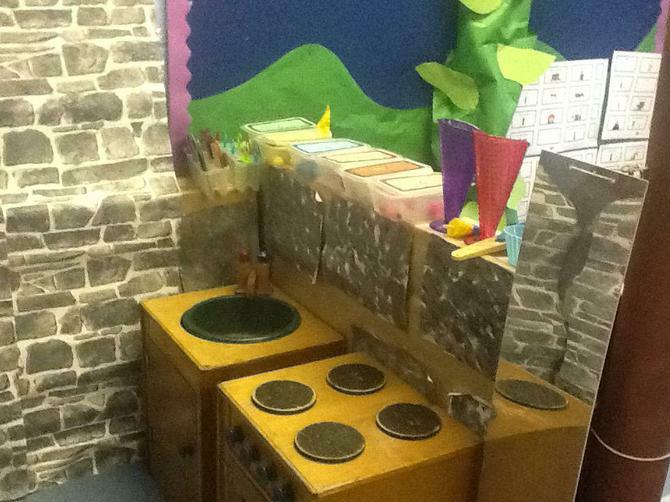 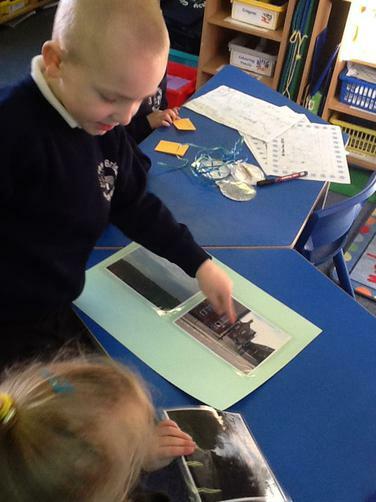 The children compared features of our environment in Gipsey Bridge to feature of a city (London). 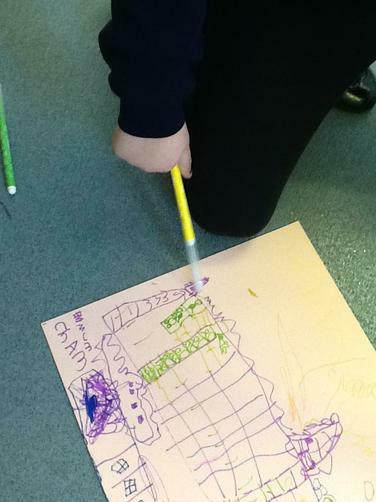 They drew pictures in groups of things they might need if they were to make their own city or village. 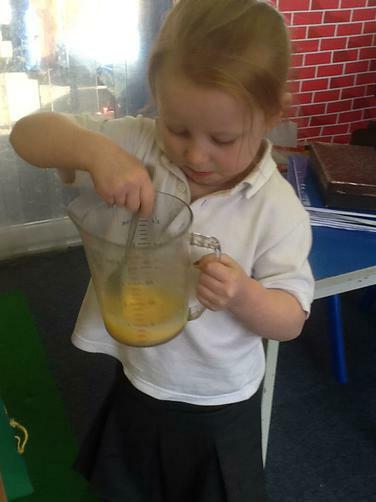 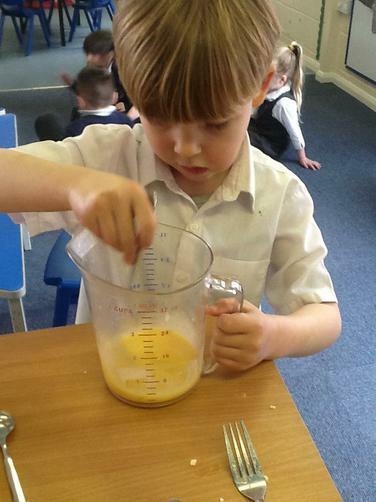 At the end of the week we recapped everything we have learnt about food groups so far and learnt about foods in the proteins group and how they can help us to stay healthy. 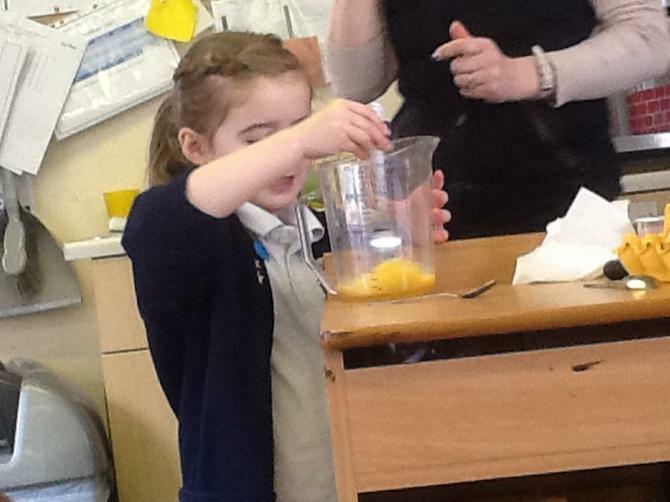 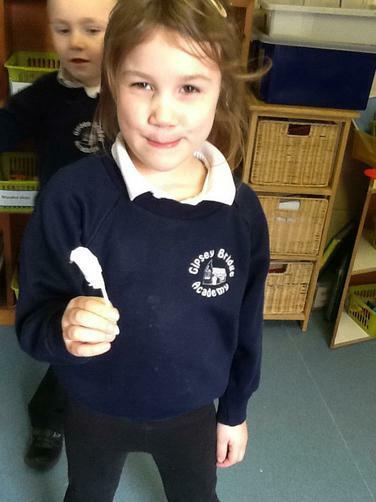 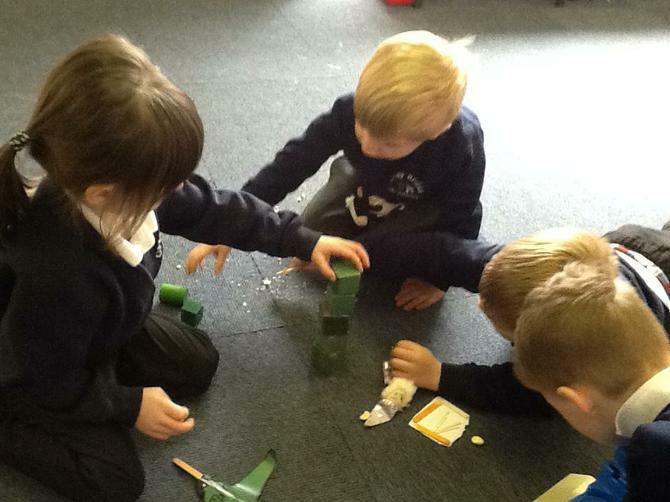 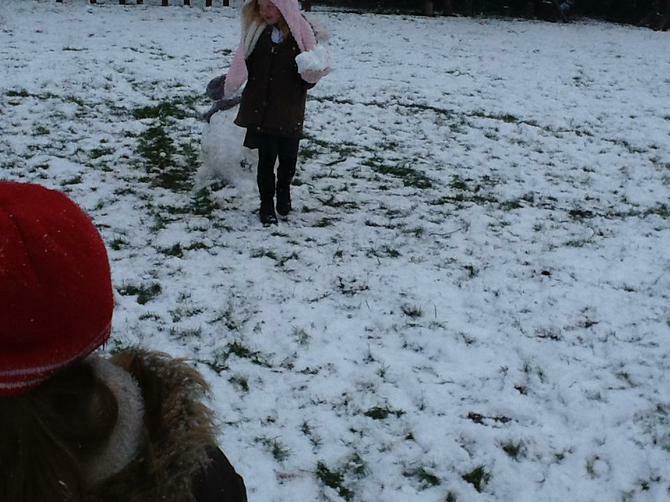 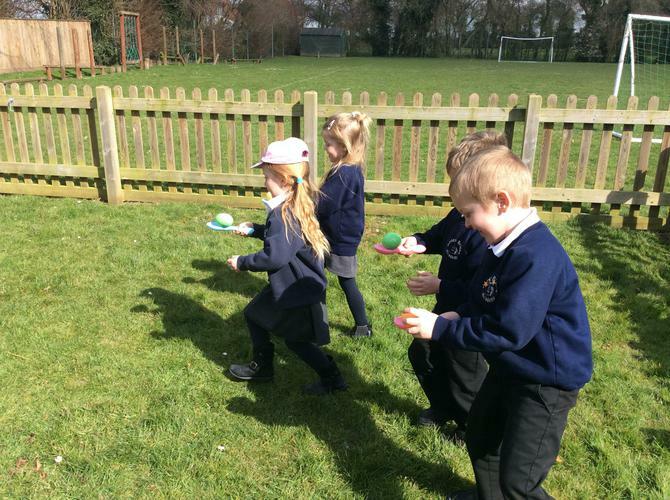 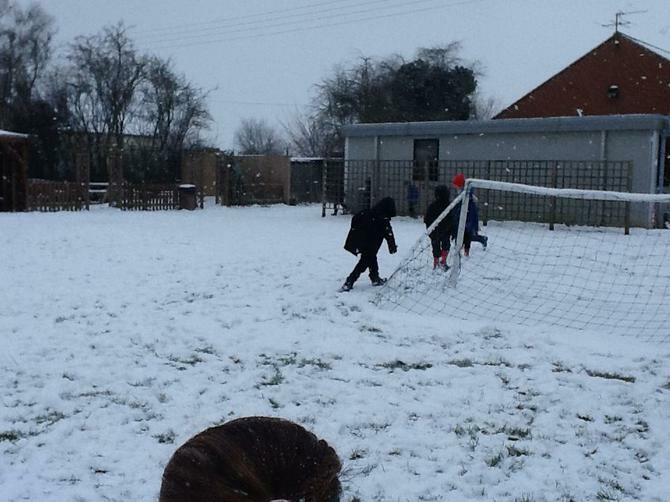 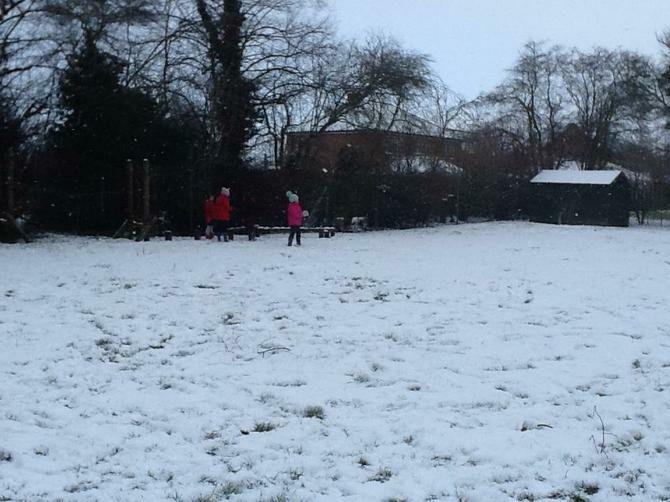 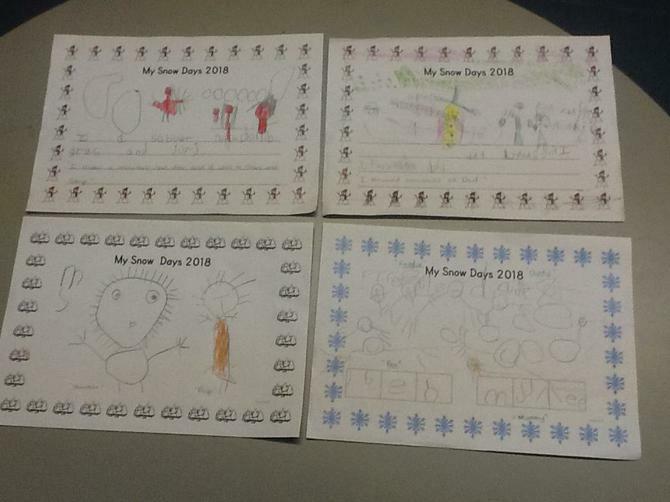 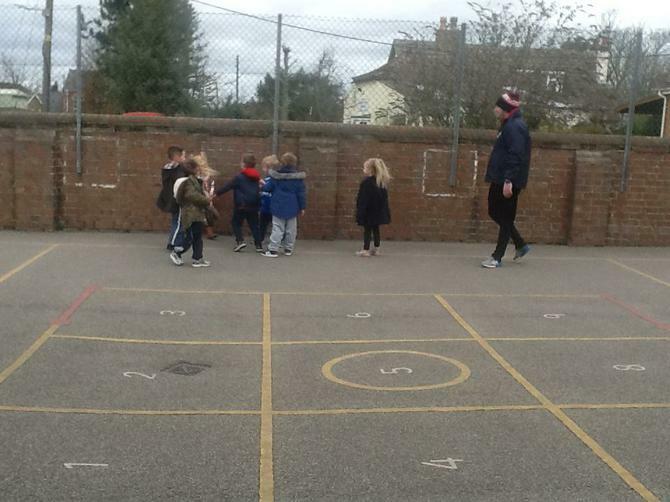 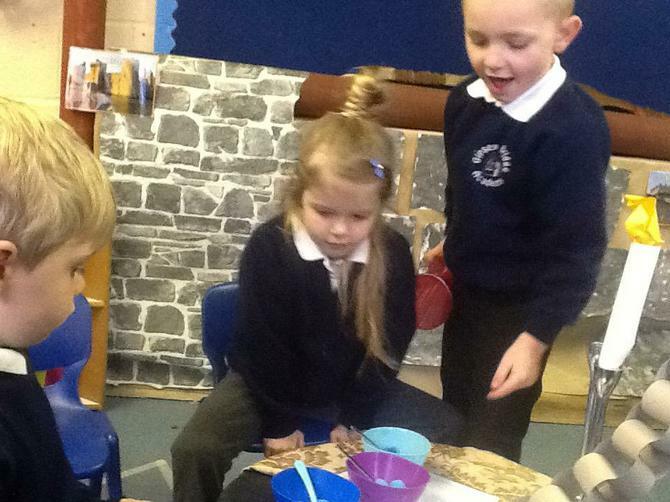 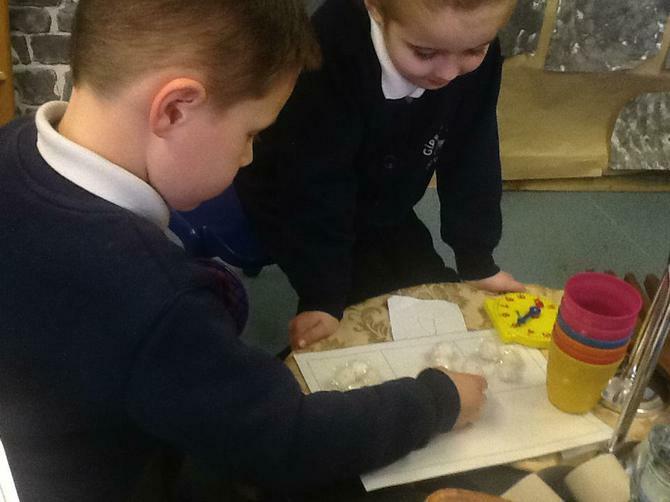 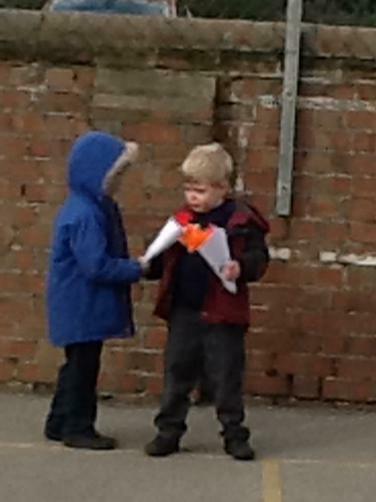 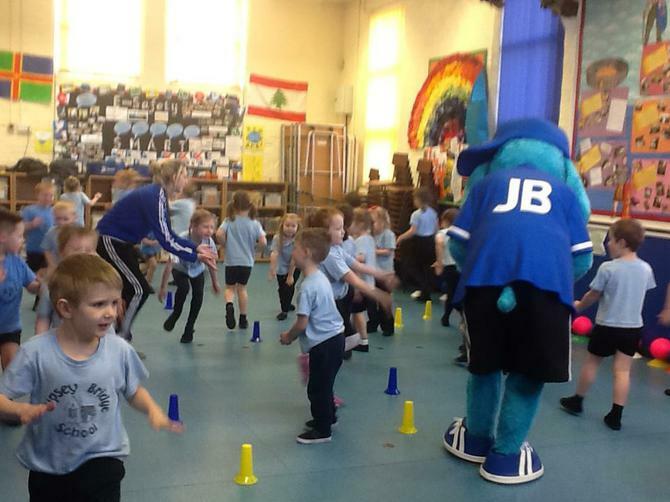 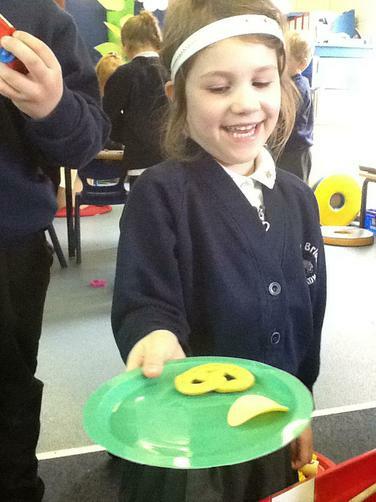 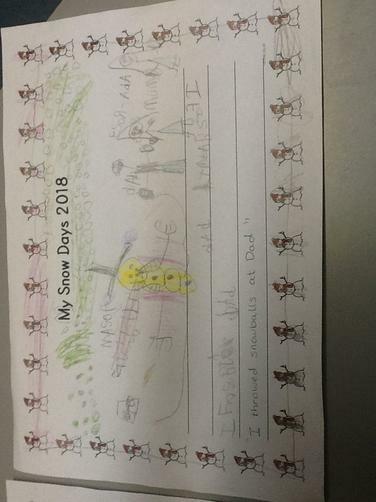 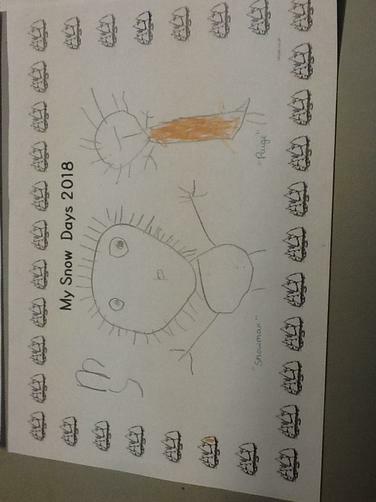 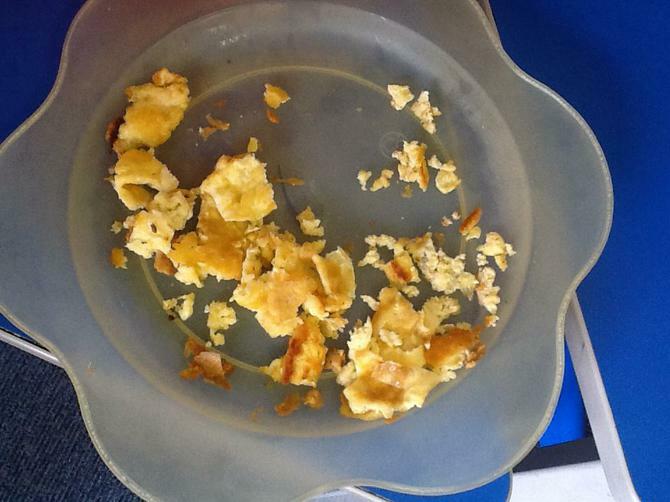 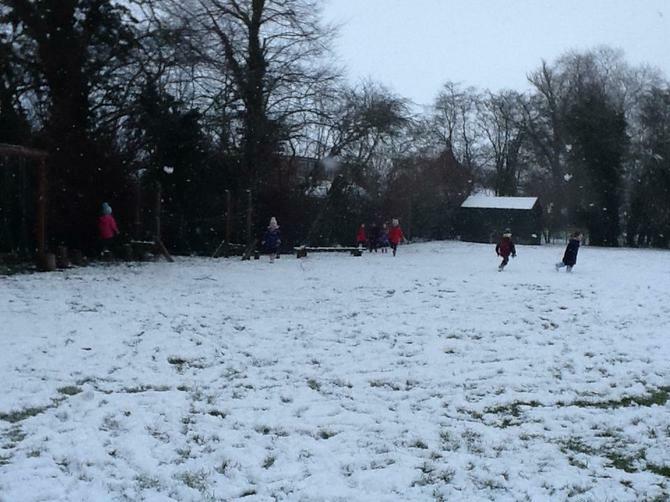 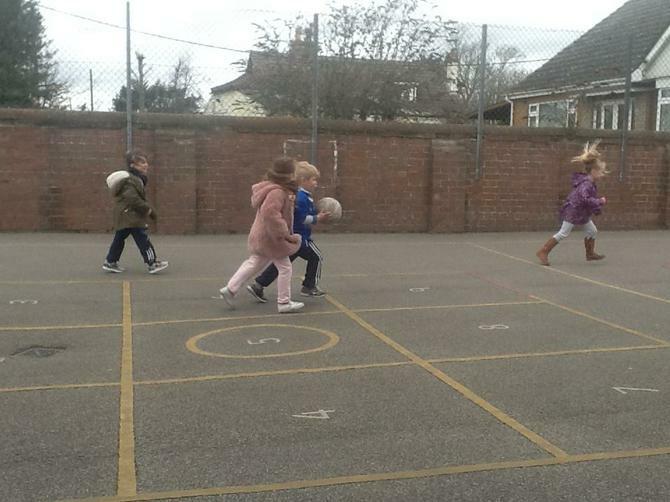 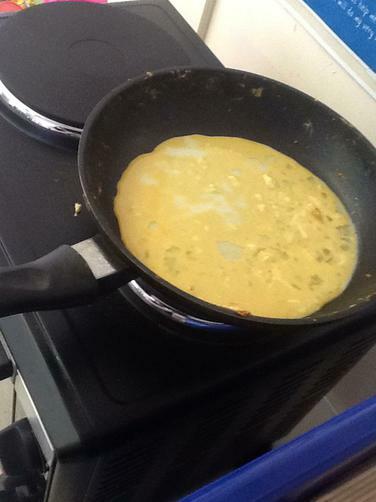 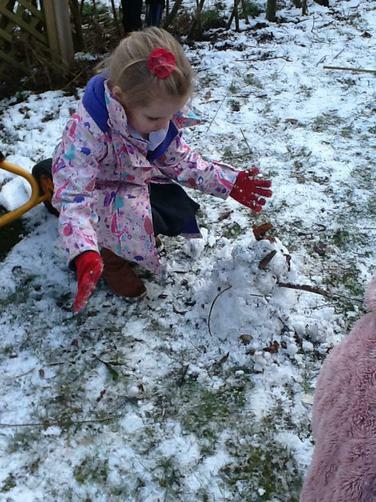 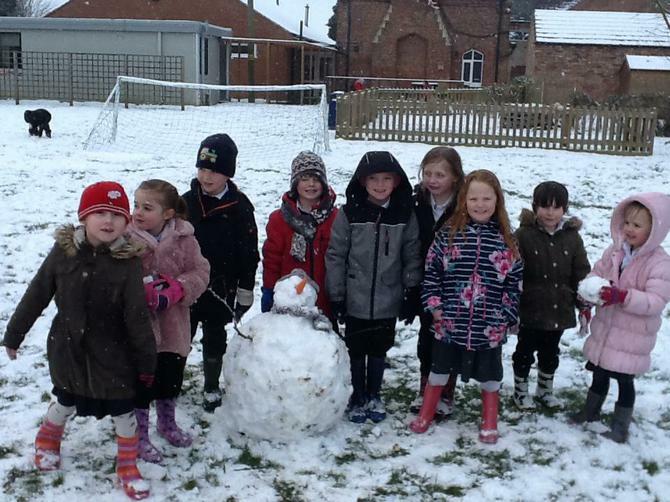 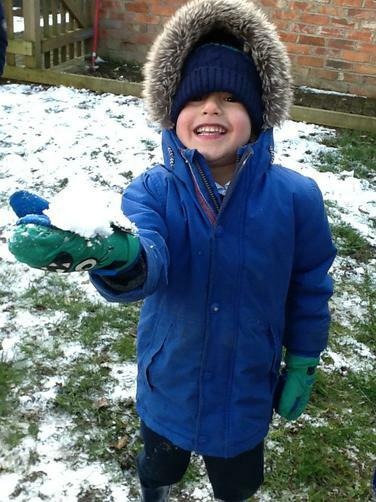 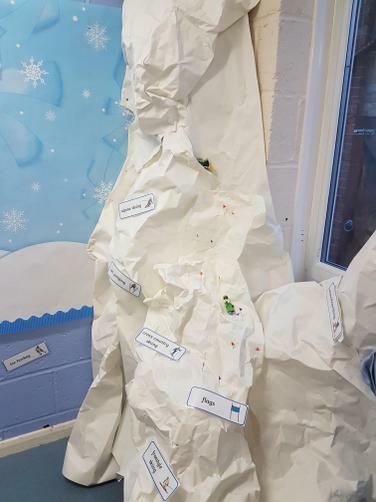 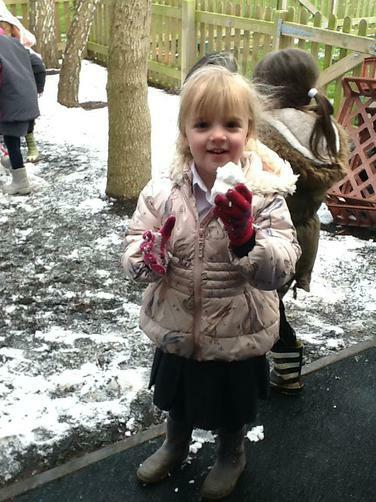 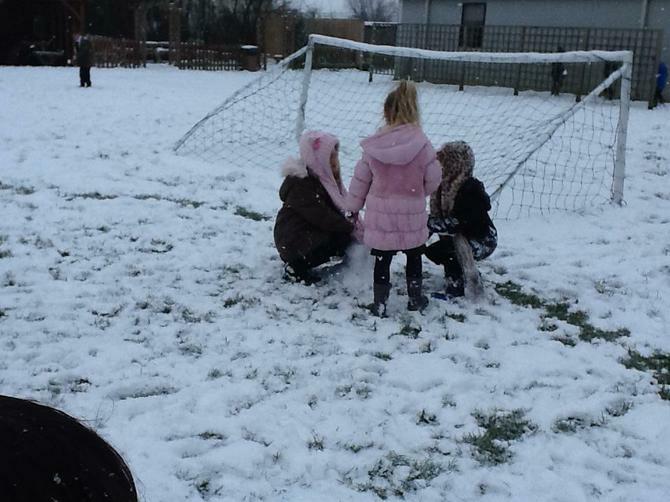 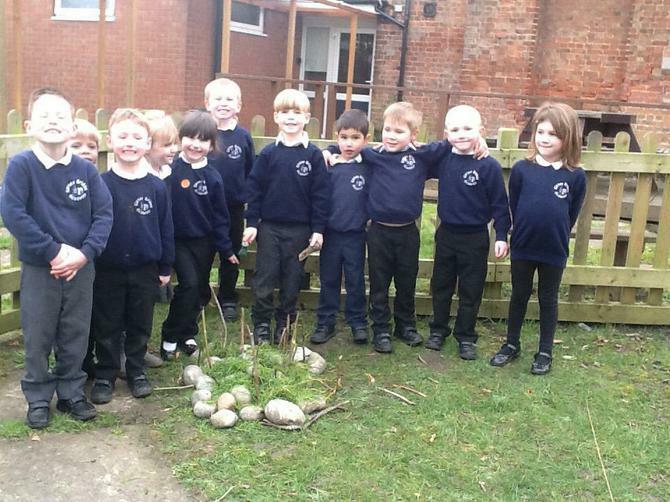 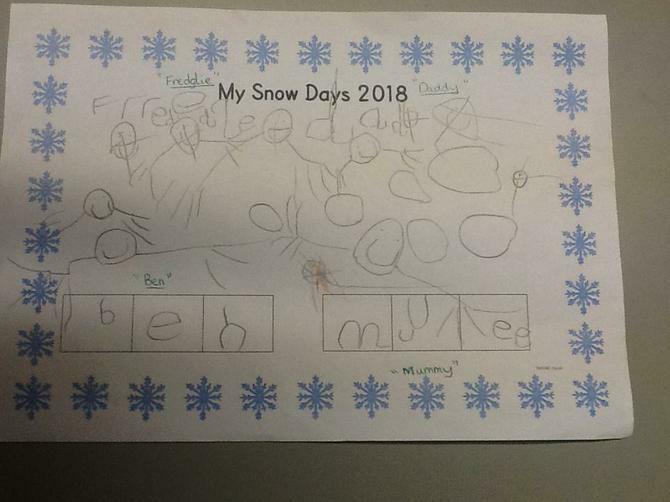 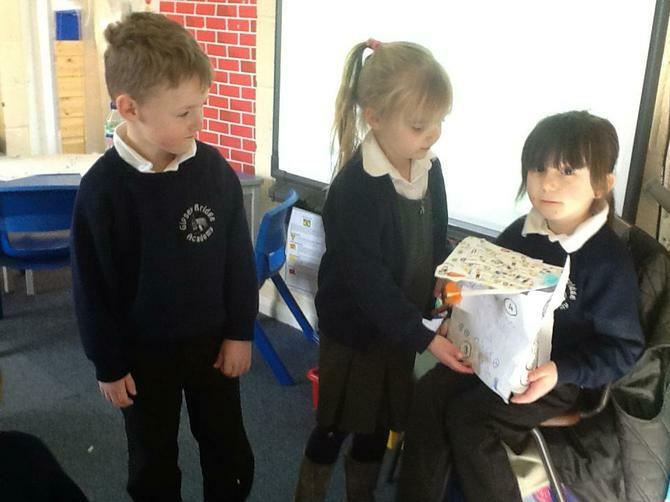 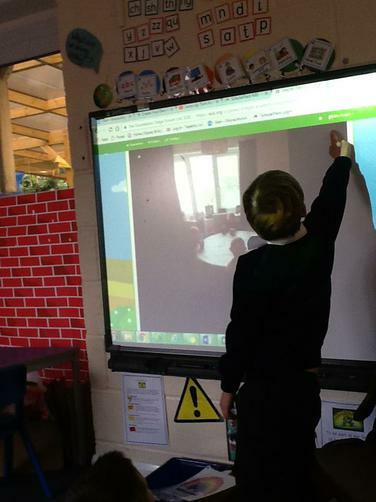 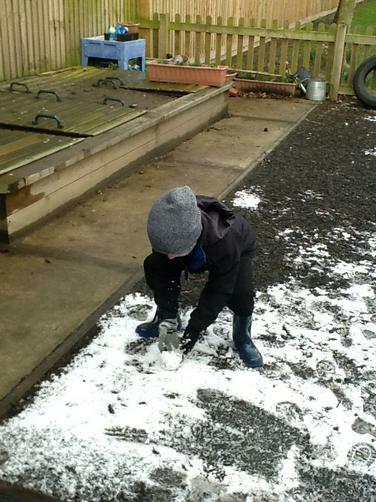 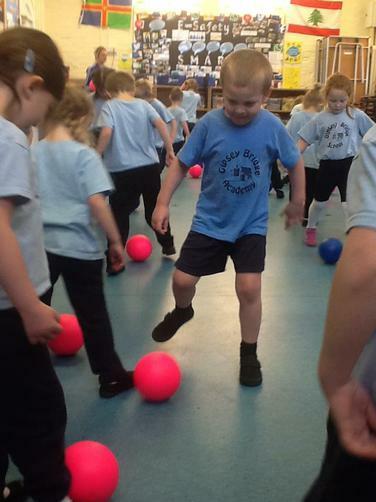 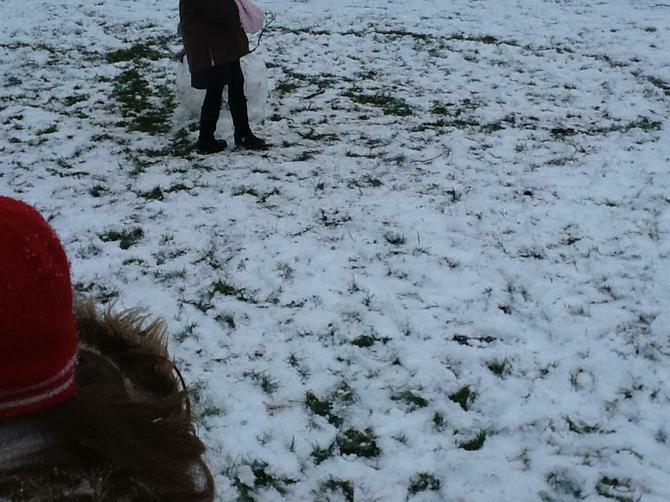 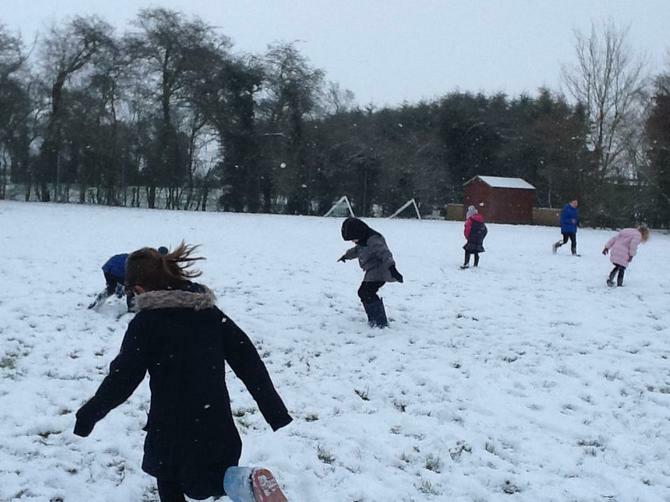 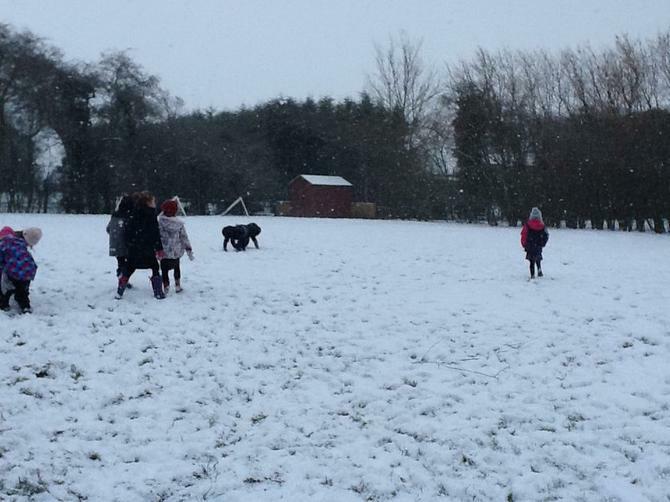 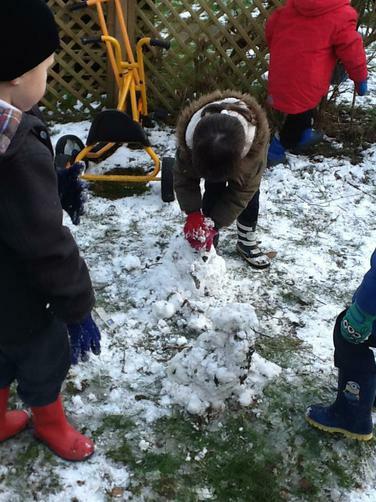 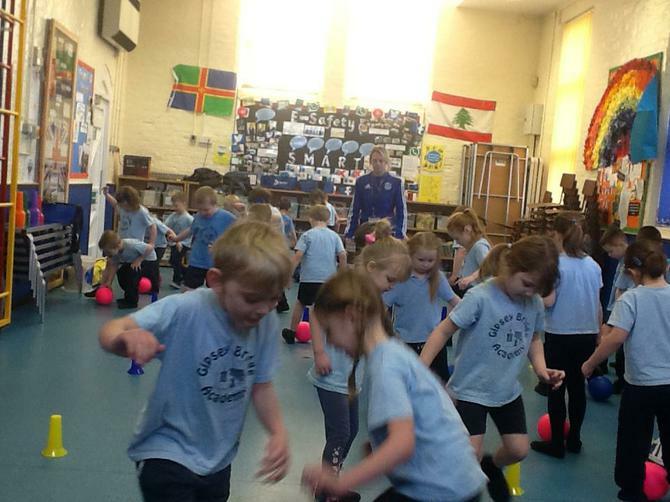 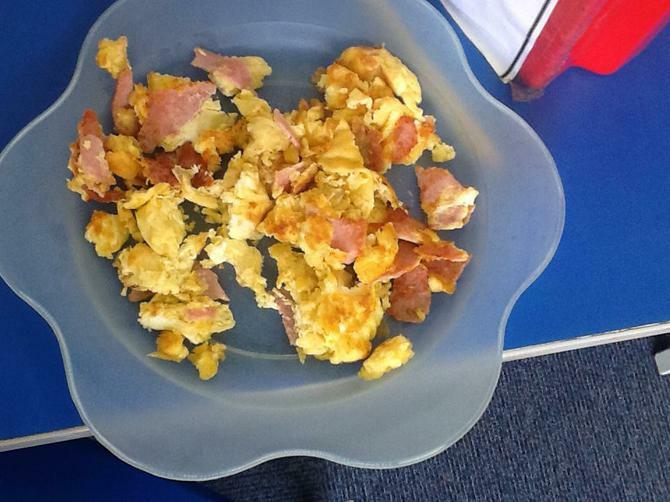 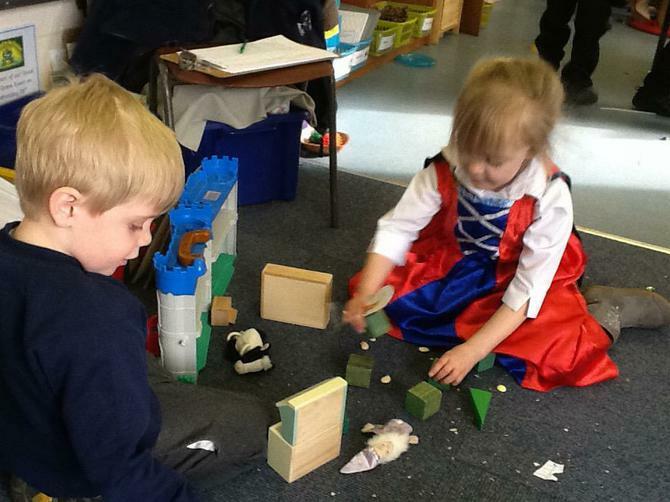 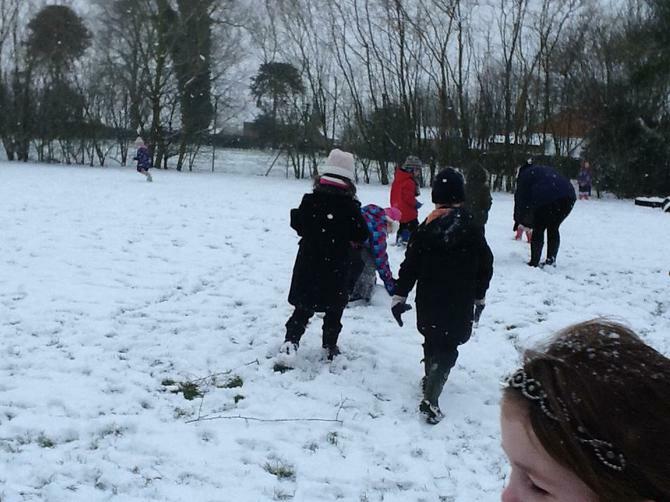 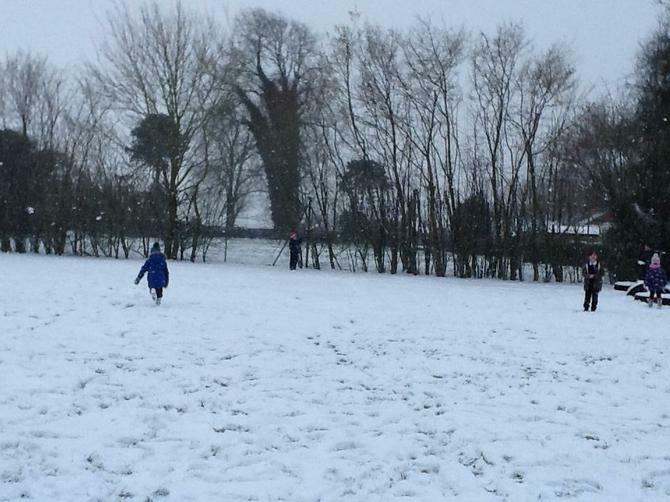 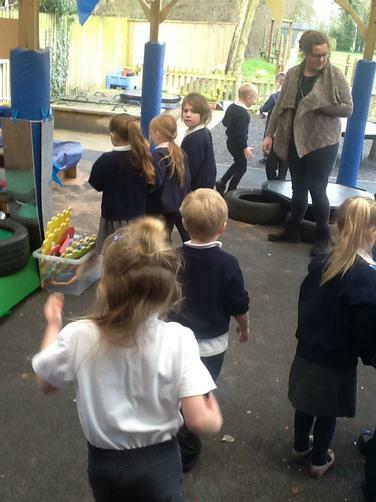 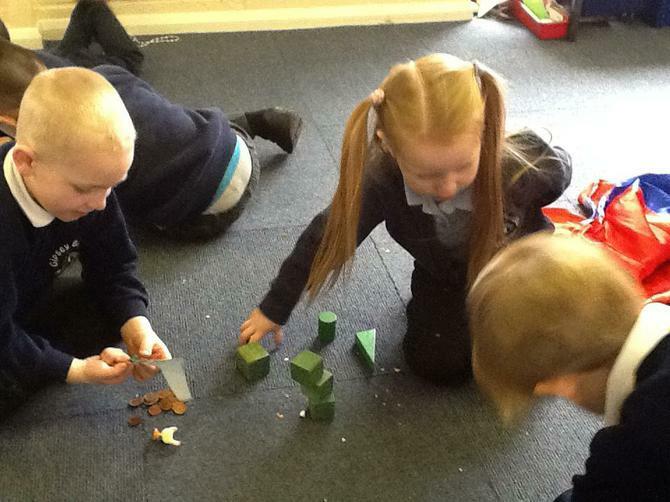 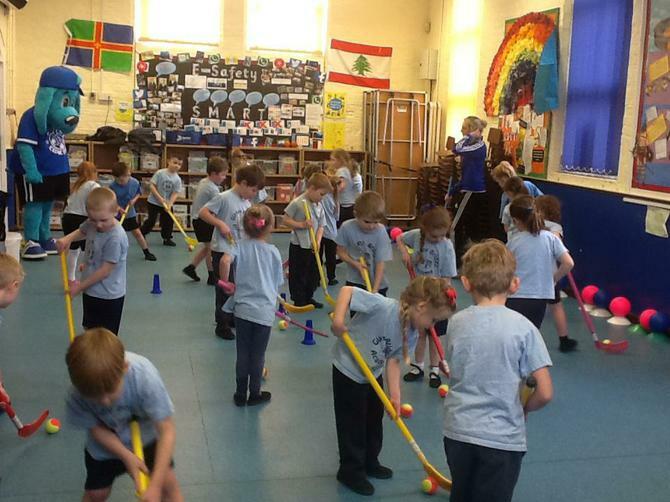 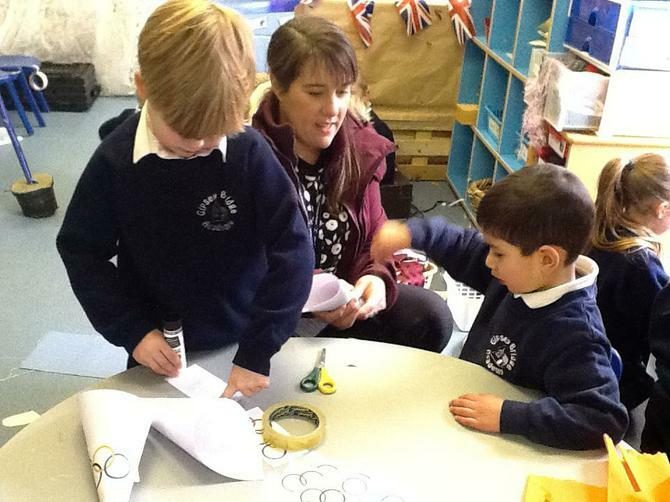 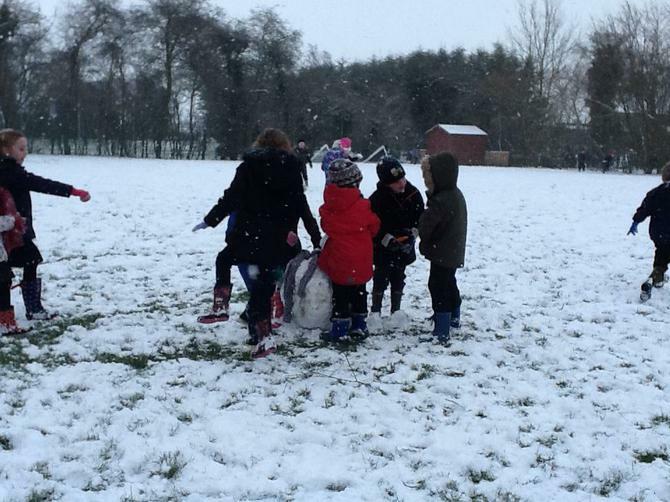 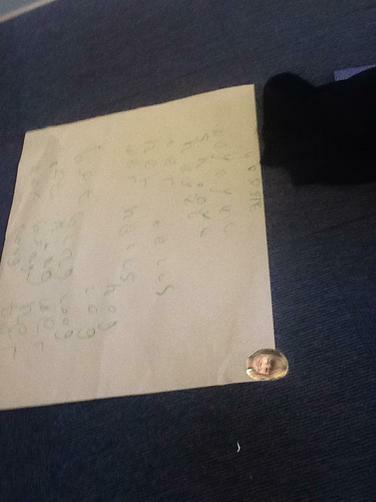 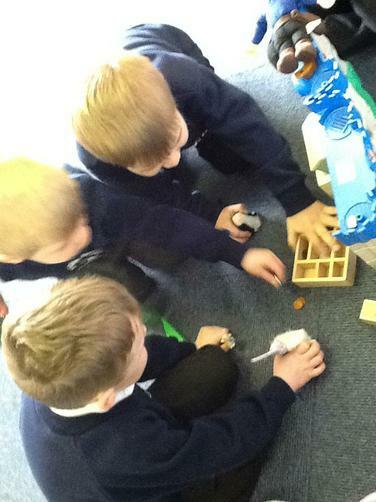 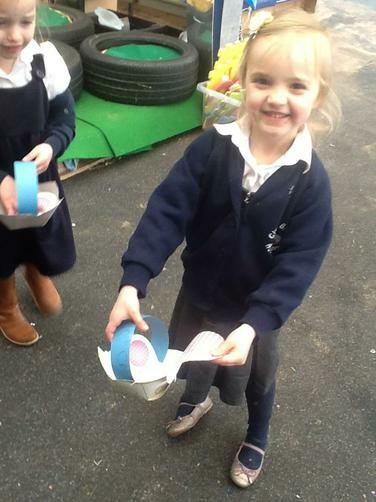 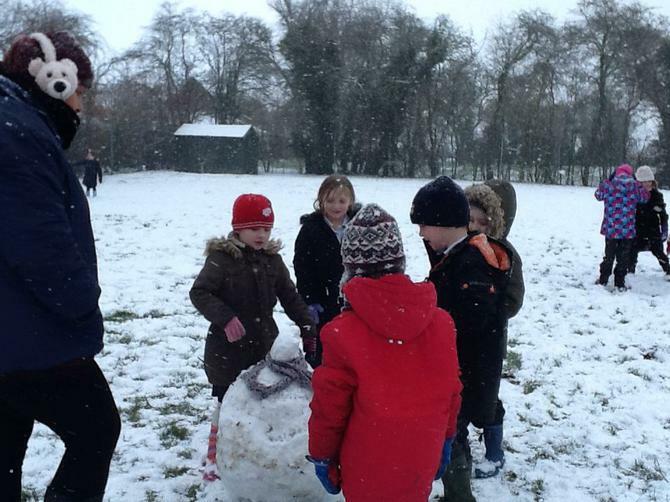 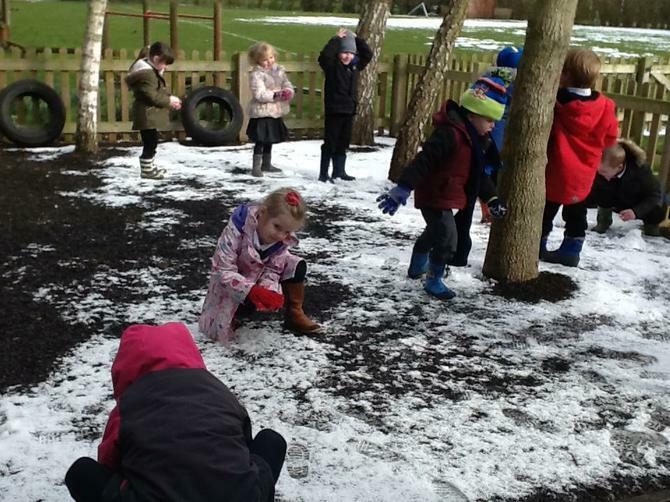 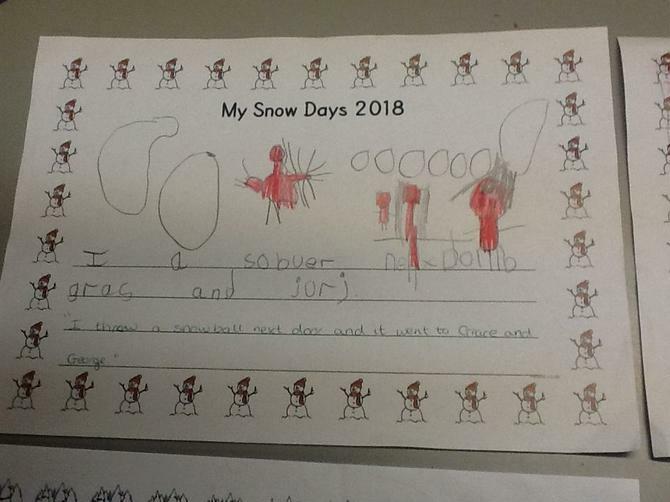 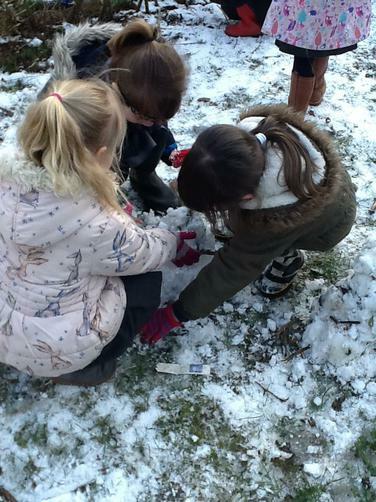 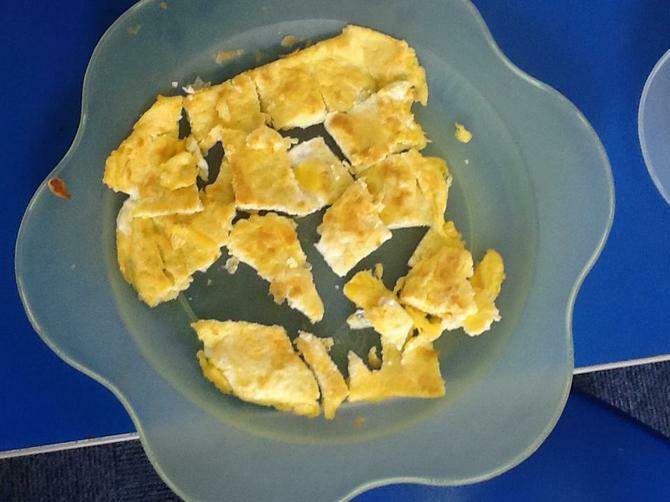 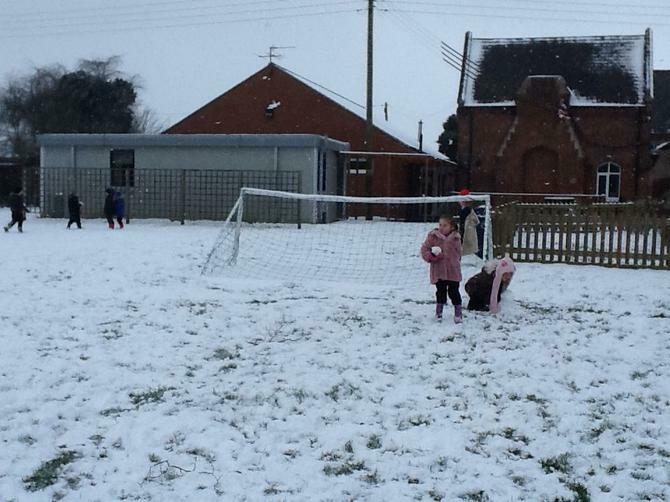 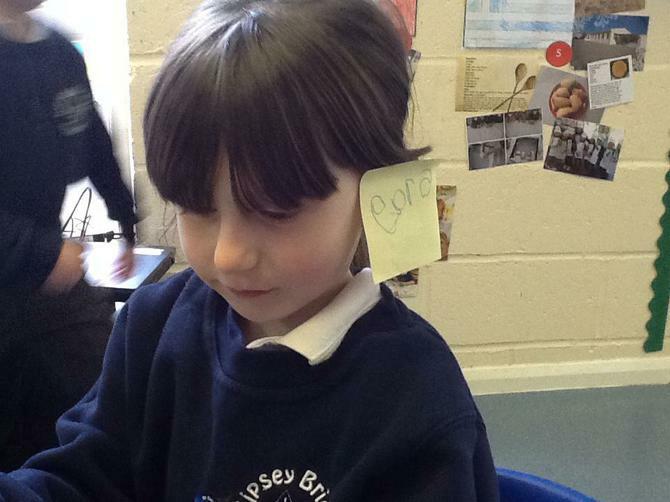 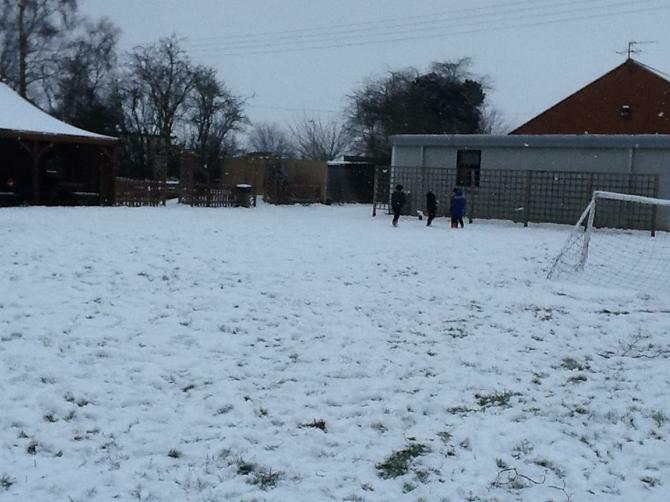 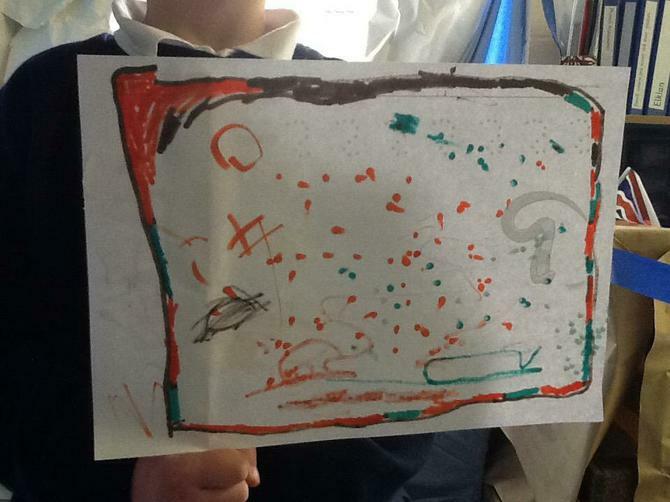 We started the week learning about 2D shapes, we had our first PE session with Mrs Smart, we learnt about different features of the environment where we live, we looked at more photos from our e-twinning project, we learnt about foods that are eaten in different countries and we enjoyed playing in the snow! 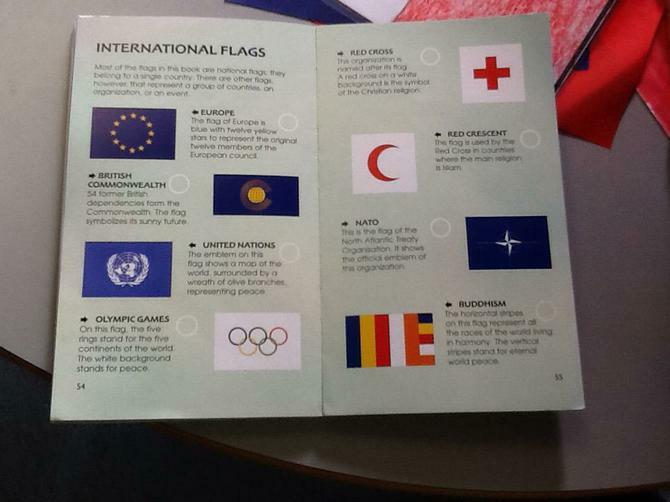 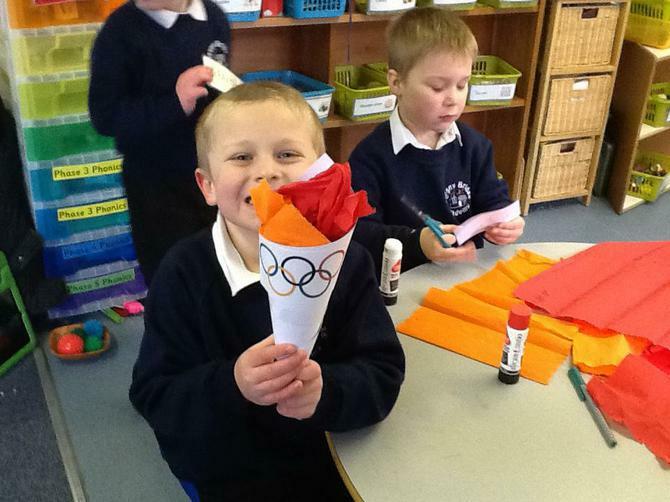 Over the next few weeks, we will be looking at the Winter Olympics. 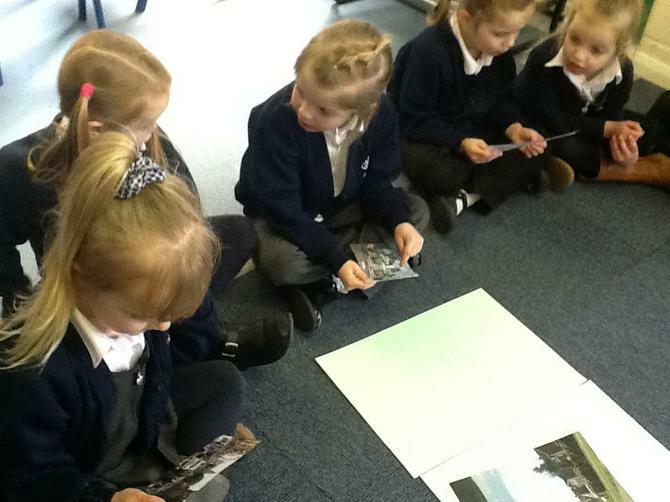 We started this week by learning about what happens, talking about a few important facts and then looking at the different events. 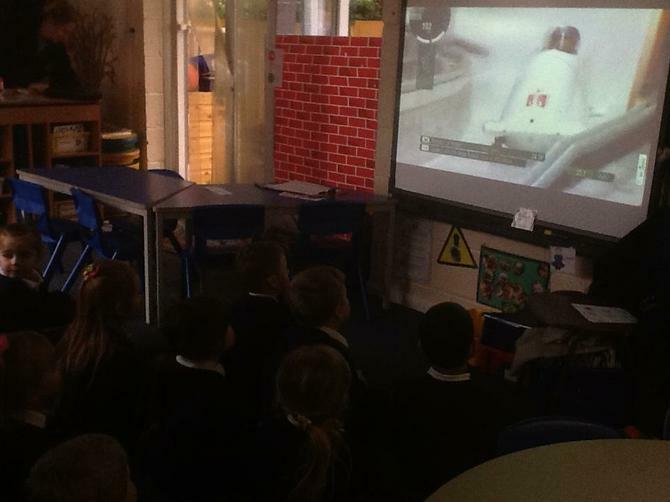 Over the week, we enjoyed watching Curling, Speed Ice Skating and the Bobsleigh. 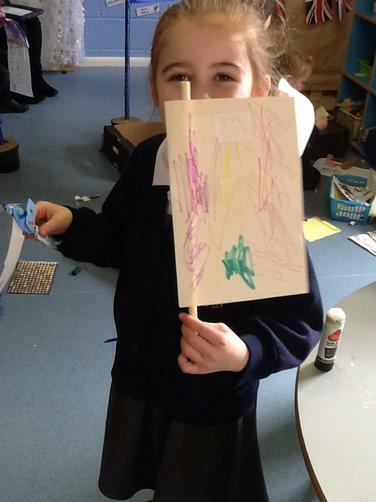 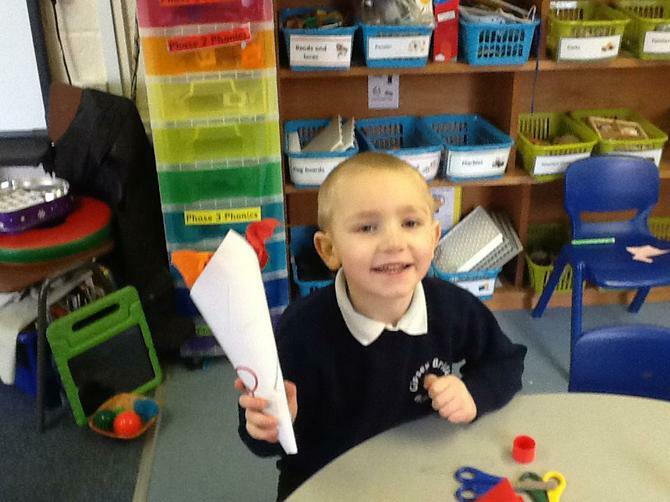 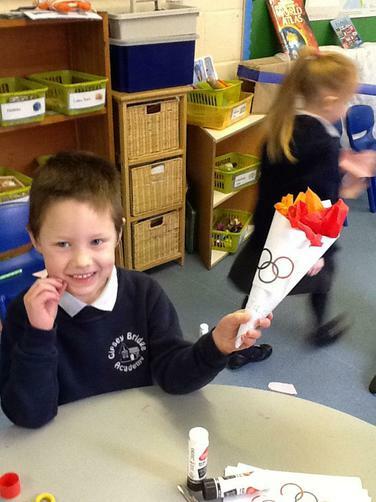 We also made our own torches, medals and talked about which position each colour medal would be awarded to. 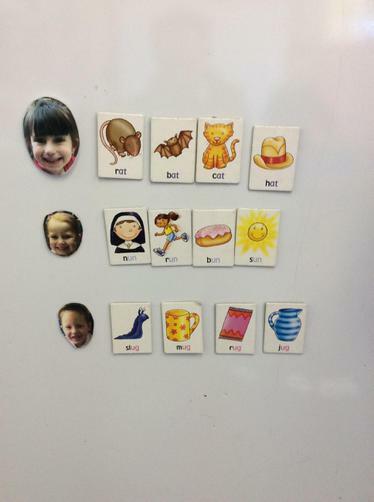 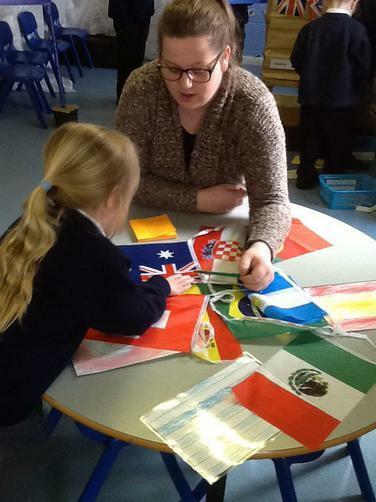 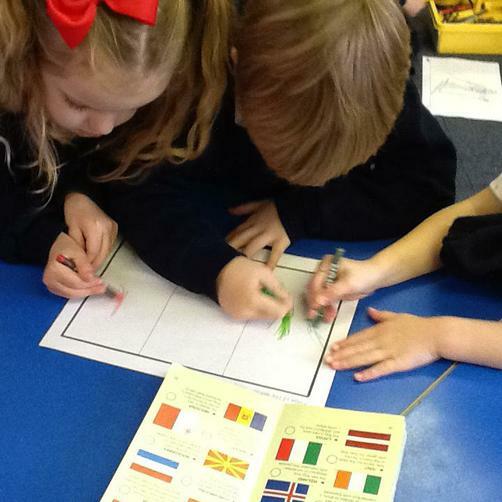 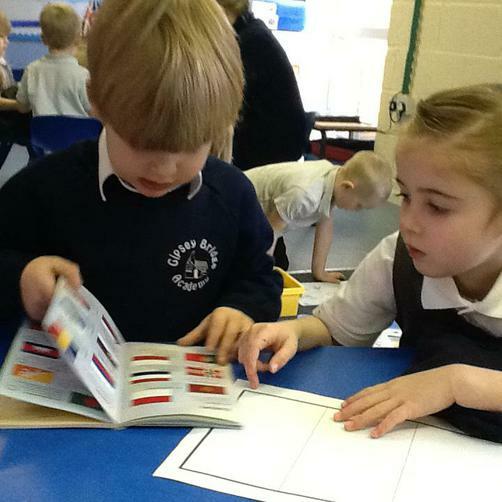 On Thursday we learnt the words similar and different which we used to talked about a range of flag colours and patterns. 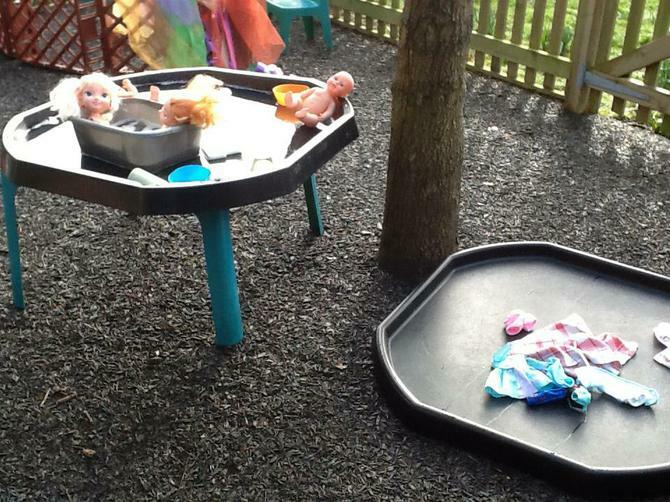 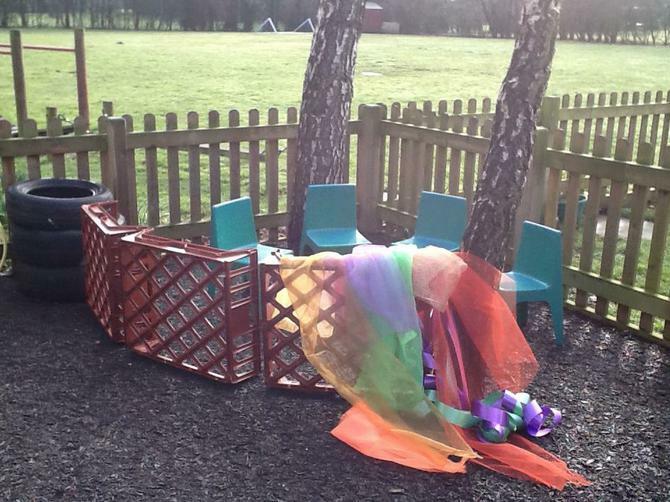 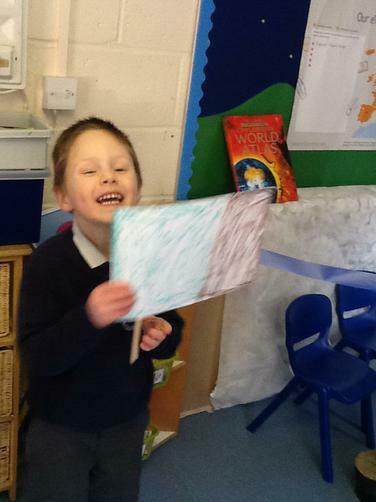 This then led to some wonderful child initiated play making their own flags. 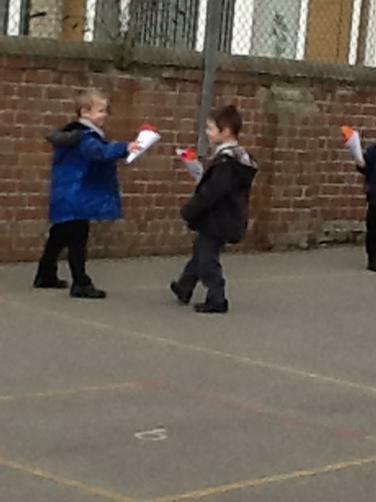 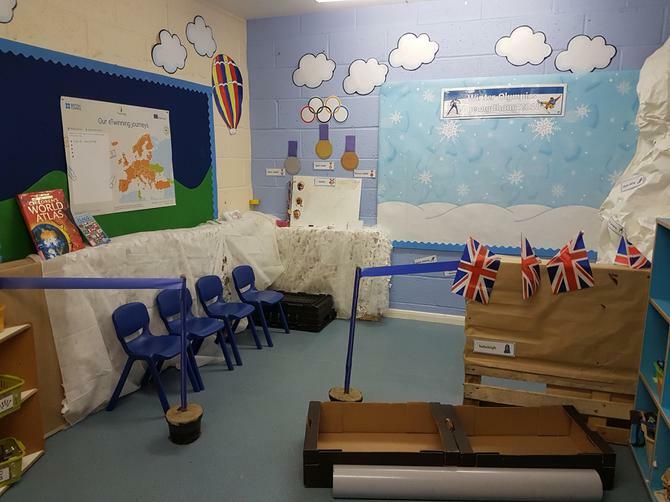 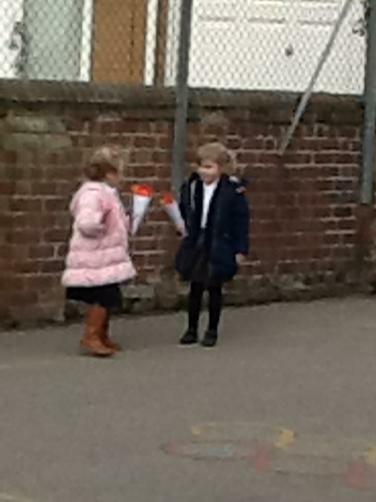 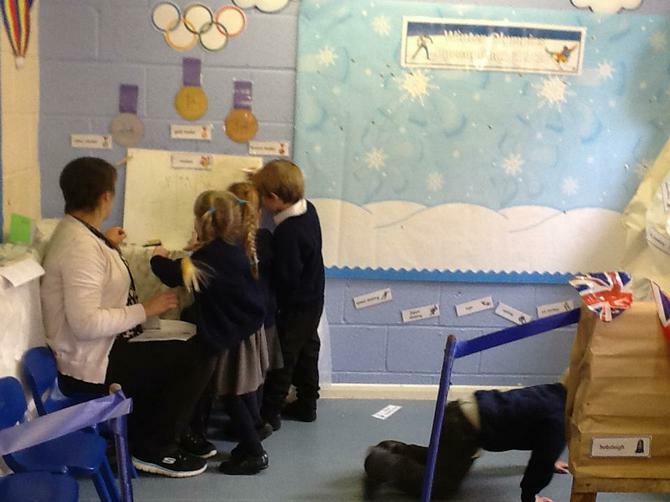 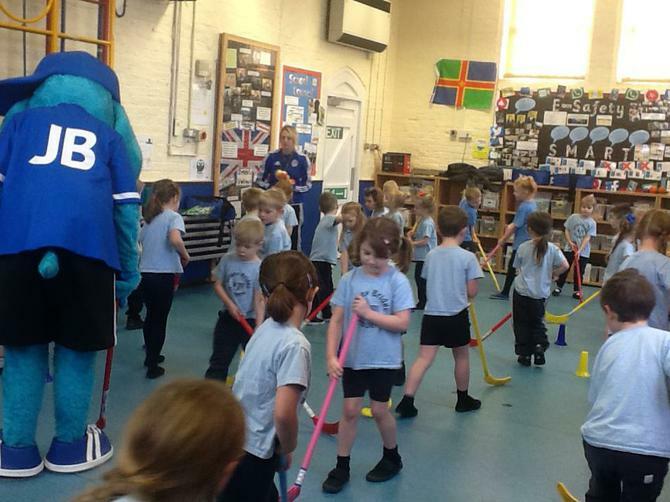 At the end of the week we had our own Olympic torch relay around the playground and held an opening ceremony where we waved our flags and cheered before enjoying Ice dancing in the Olympic role-play. 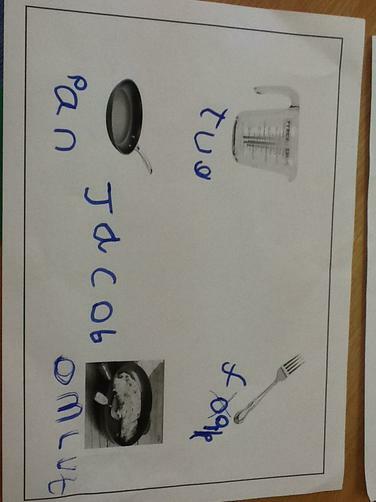 Take a look at some of our other learning this week. 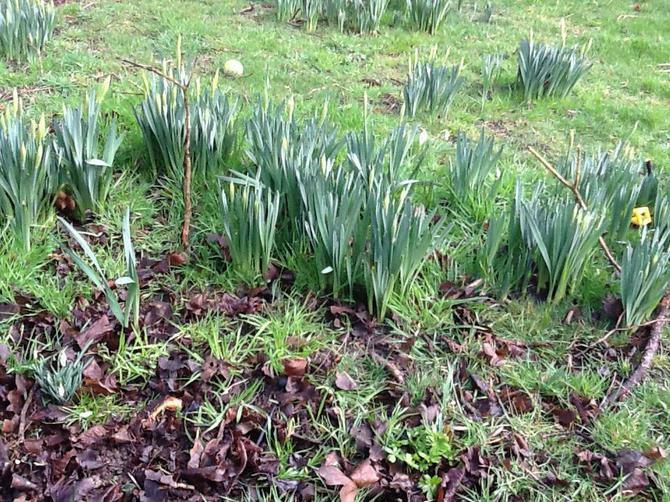 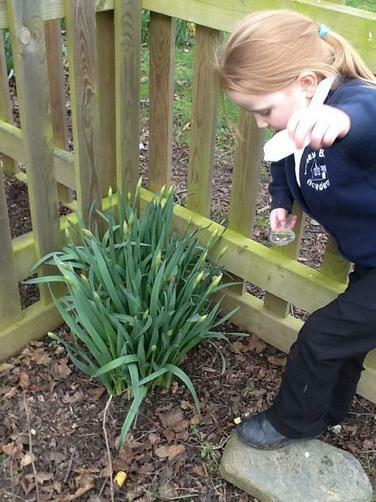 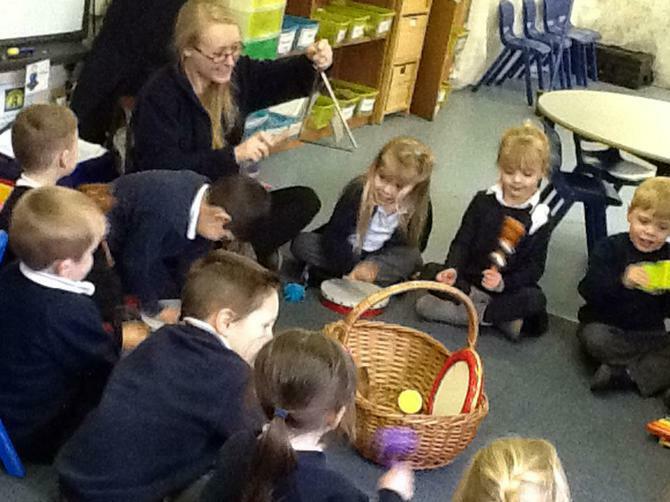 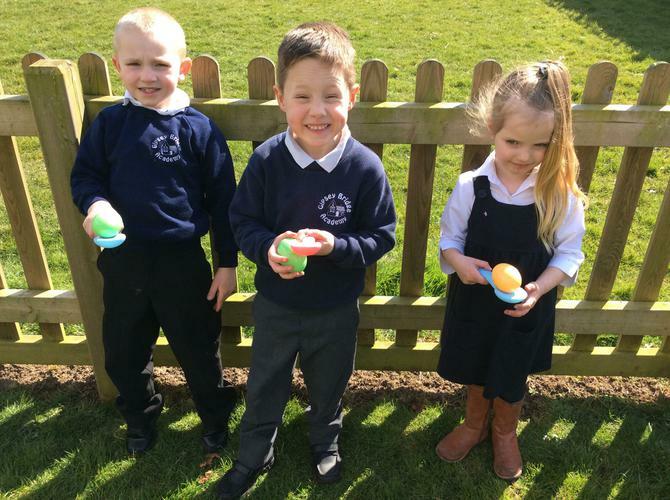 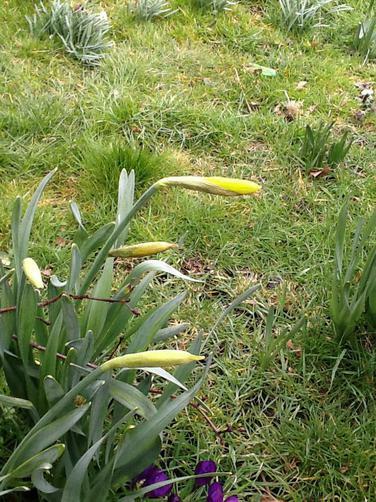 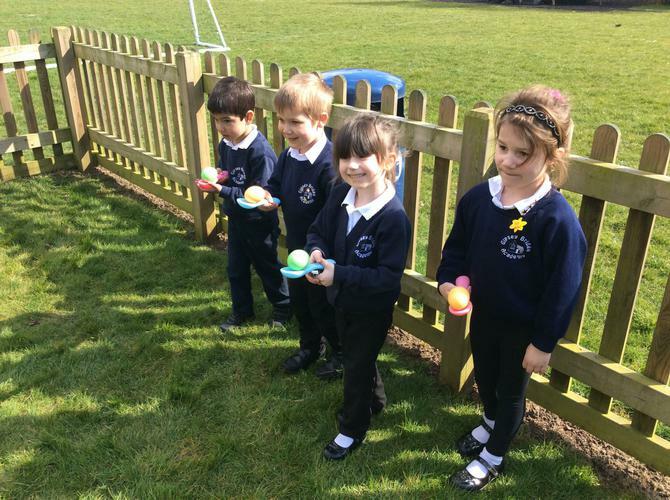 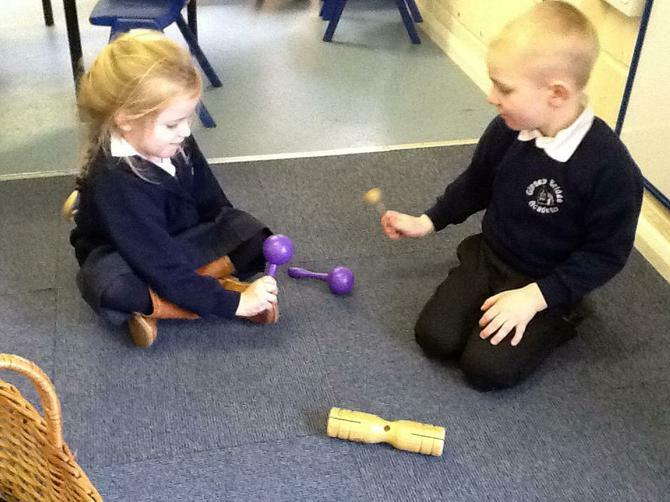 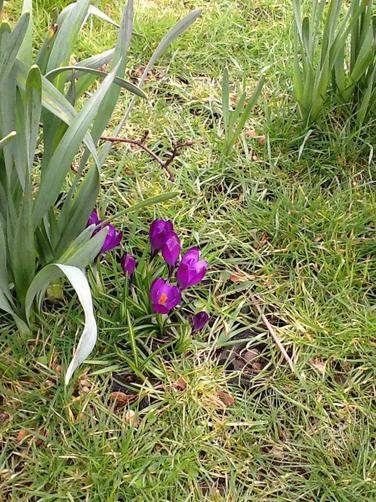 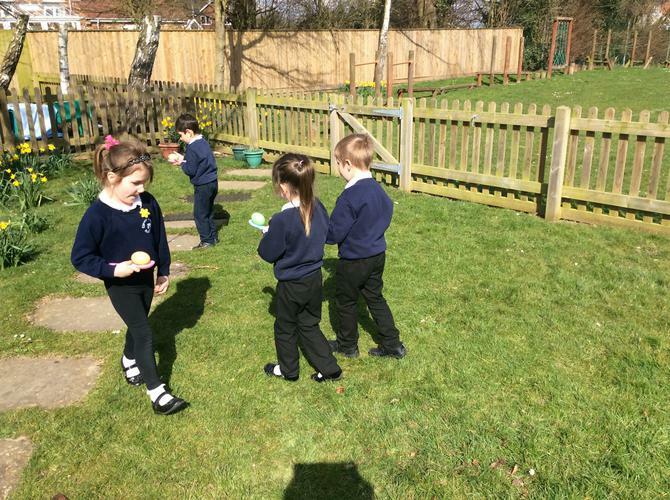 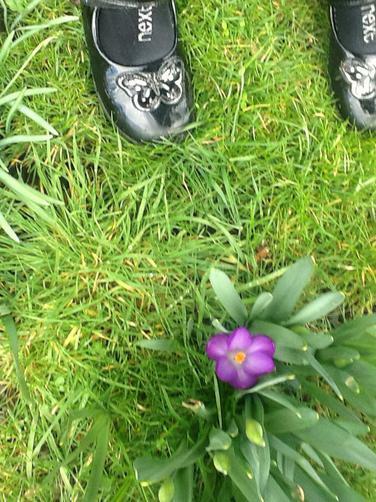 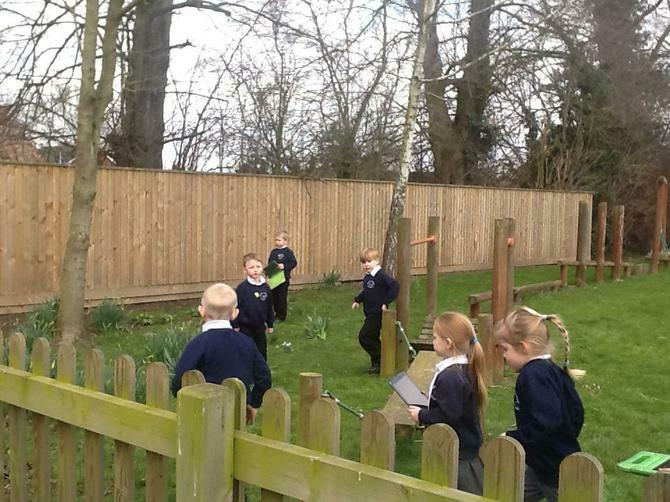 We have been estimating in maths, looking at signs of spring independently and taking photo, making repeated rhythms in music with a partner and using the equipment safely in PE.